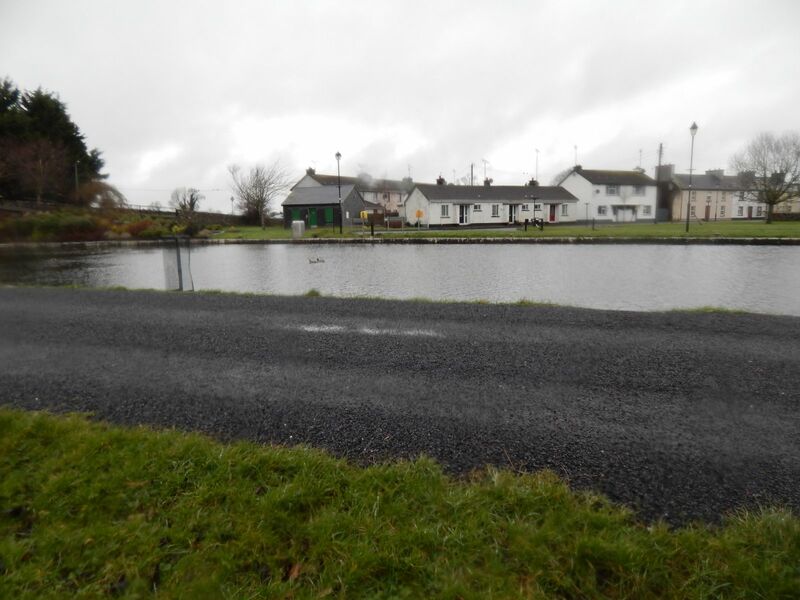 I got a a good early start and was on the trail from the Harbour area of Longford by 8 am. As expected the town was quiet and there was nobody on the trail except for a few dog-walkers and a few birds. 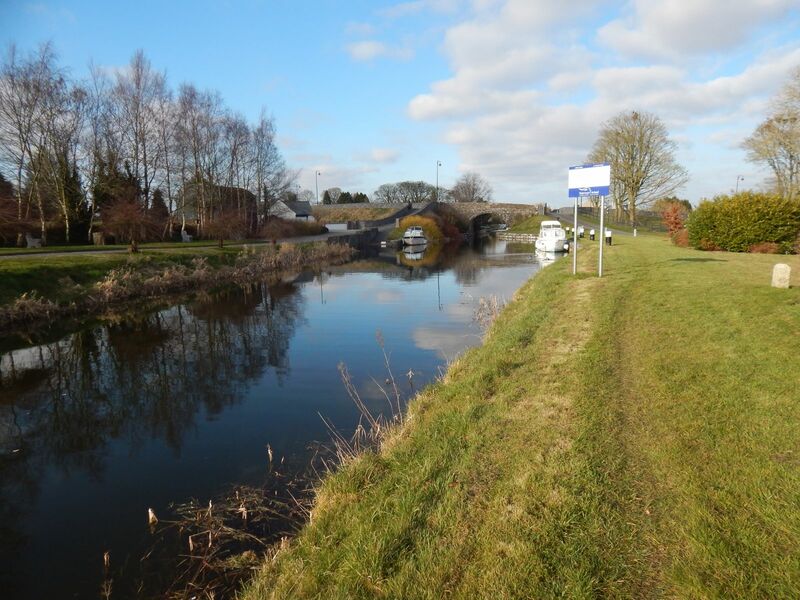 The remains of the canal are kept relatively clear for the first couple of kilometres around the town and it is quite a nice place to walk. 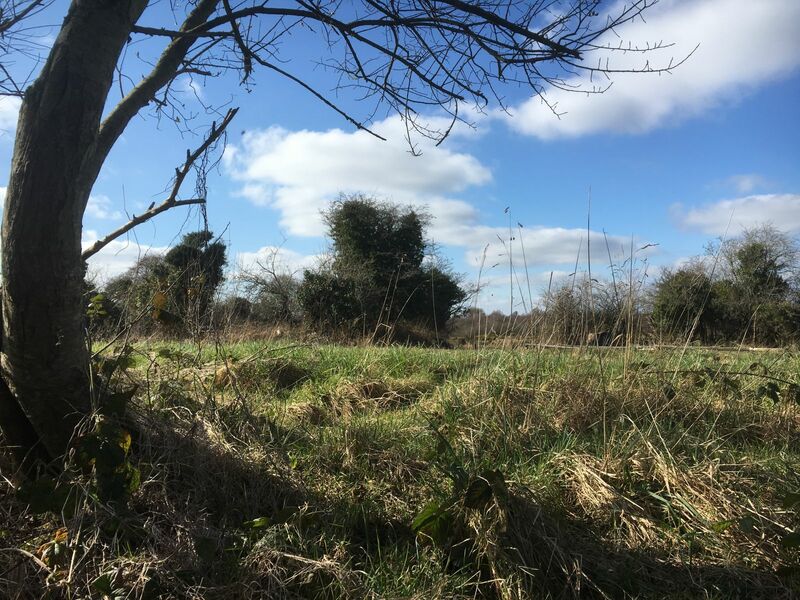 As I head out along the back of the industrial parks on the Athlone road I leave the walkers behind and once I cross the road it gets a lot less wilder. Since there are no locks on the branch, one would think it would be quite easy to re-open it but there are two major problems -once is that the harbour is gone and there is no possibility whatsoever of re-instating it. 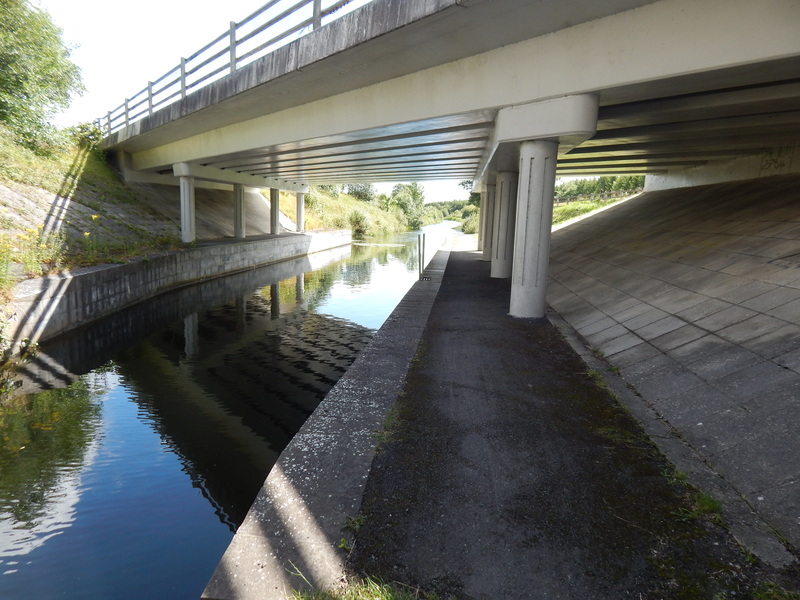 Secondly, there are about three road crossings where the road just goes straight through where the canal once was. This makes things a bit difficult. Anyway, I pushed onwards. 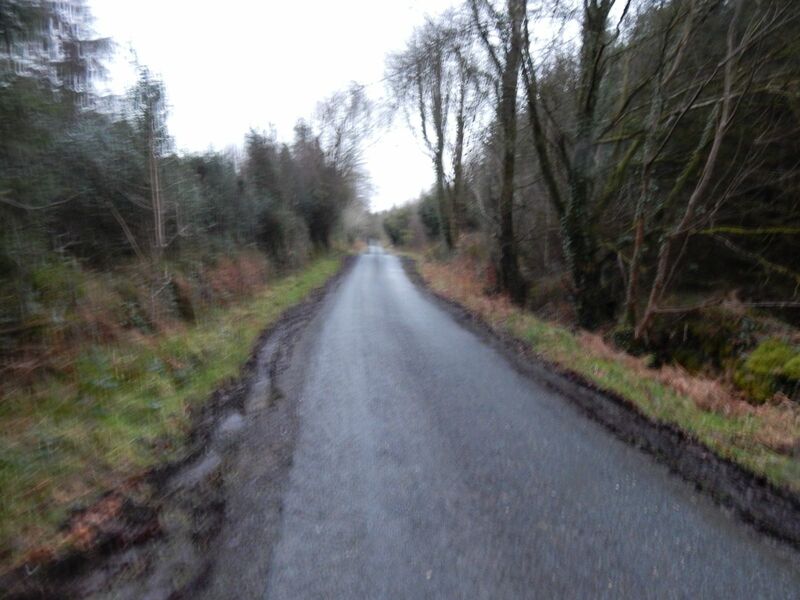 The plan was to get to mainline and turn left towards Abbeyshrule. Unfortunately, there is no way of turning left at the junction as there is no path so I had to up to Kilashee and backtrack about 1.5 km to get back to the junction on the opposite side. 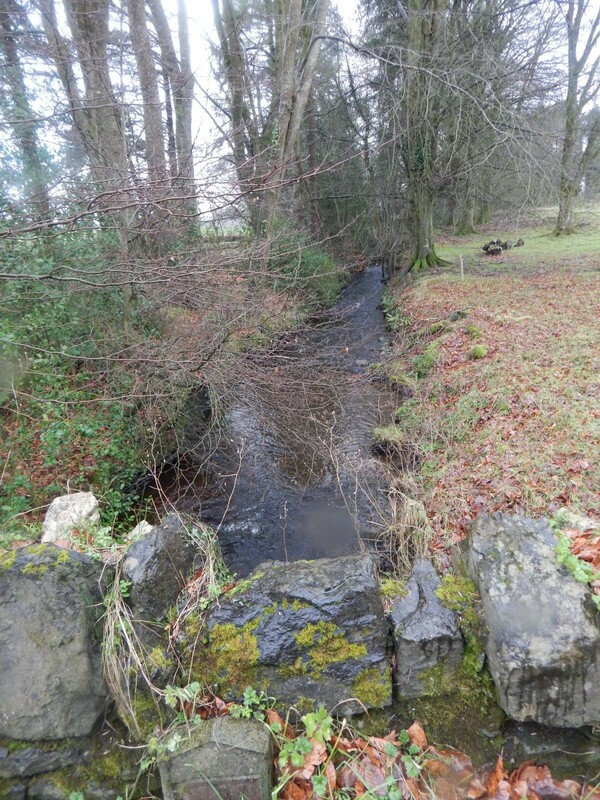 The water level on the main line was considerably reduced as Waterways Ireland were doing overwinter maintenance on this section. It isn’t looking terribly like it will be open by Easter. 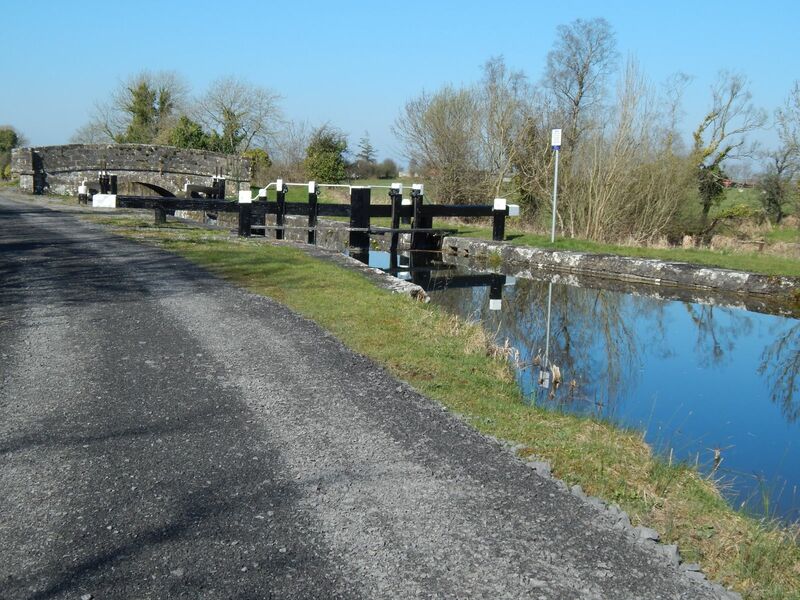 I headed towards Kilashee and took my first break on the lock gate after about 10 km. 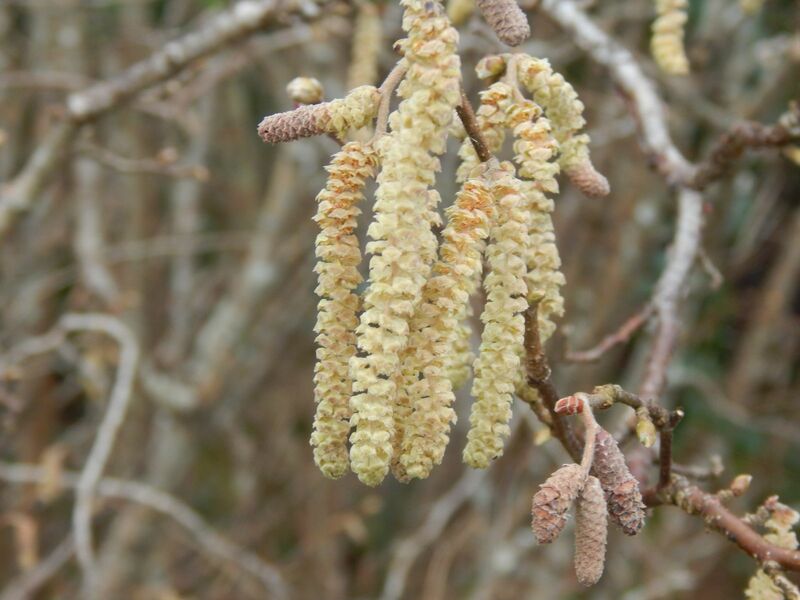 There is finally some sign of life in the trees with some of the willow trees in these parts displaying catkins. 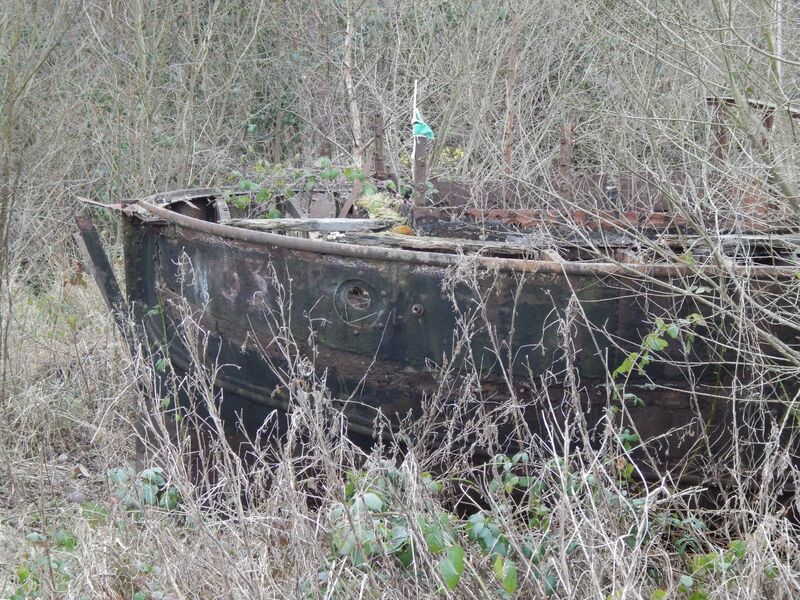 There is an interesting wreck in the weeds beside the canal right by the junction. It is amazing how they took these out of the water and just left them to rot. I pushed onwards towards Kenagh still making a good place of over 5 km per hour. It was perfect walking weather. Warm enough, dry but overcast so that it wasn’t too warm. I stopped again on the the 15 km mark as I’ve decided to try this time to stop every hour or so and sit down for 5 minutes to see if this helps later on in the walk. 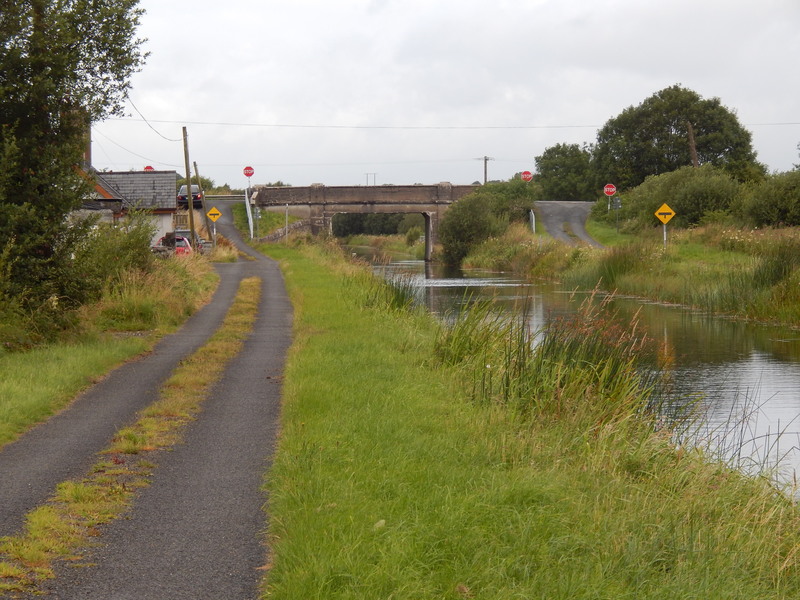 After this, I went straight through Kenagh harbour without stopping and continued on towards Ballymahon. 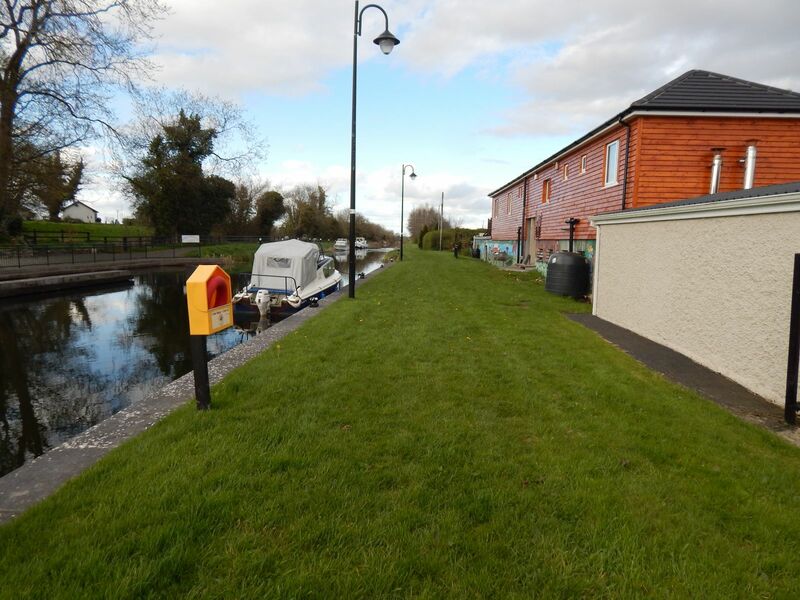 With another stop in the middle of nowhere between Kenagh and Ballymahon, I got to Mullawornia which is an incredible stretch of the canal where it contours along the side of a substantial hill and offers great views of the surrounding countryside. 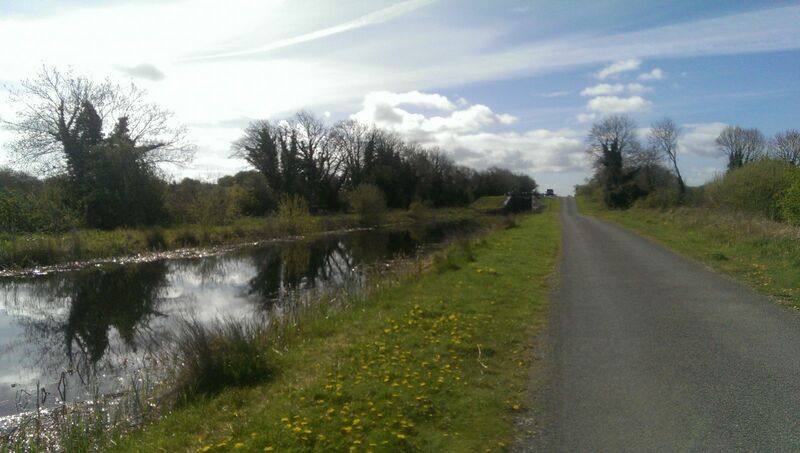 From here it was on towards Ballymahon where I figured on stopping for lunch. After the turn at Foyra, it was only a couple of kilometres to go. However, with the 25 km mark behind me and a break overdue, I decided to pick a nice bank to sit on and eat there. I had a good lunch of soup and a cheese roll until I was rudely interrupted by a farmer spreading lime. This put an end to my break so on I went. 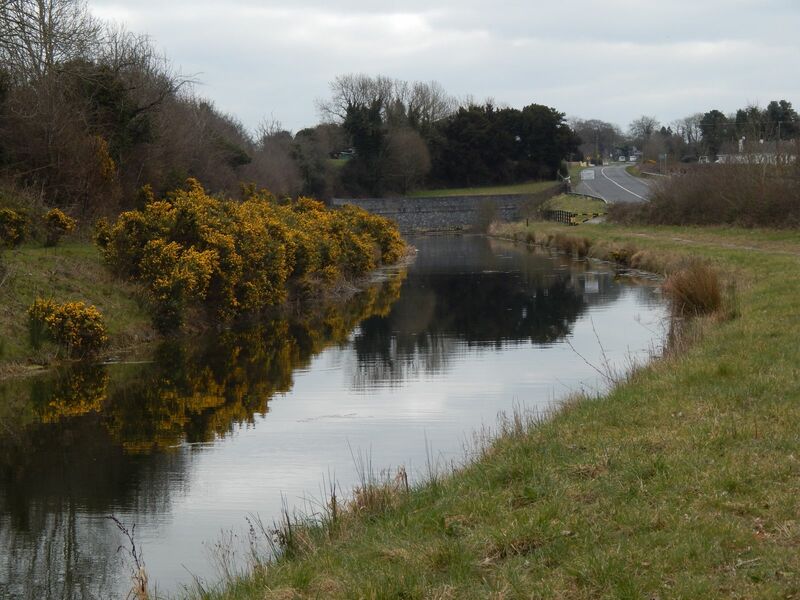 I had a quick pause to fill my water bladder at Ballymahon (or Ballybrannigan) harbour and went on. The overcast skies of the day started to clear and it was turning into a rather fabulous evening. My stop every 5 km strategy was working well and my legs felt like they had a lot left them so I started entertaining notions of extending the walk to marathon distance. Anyway, I pushed on towards the 30 km mark but decided to stop a little bit early after spotting a nice resting place under a tree near Fowlard’s bridge. I polished off the remains of my soup and had a handful of nuts and got going. 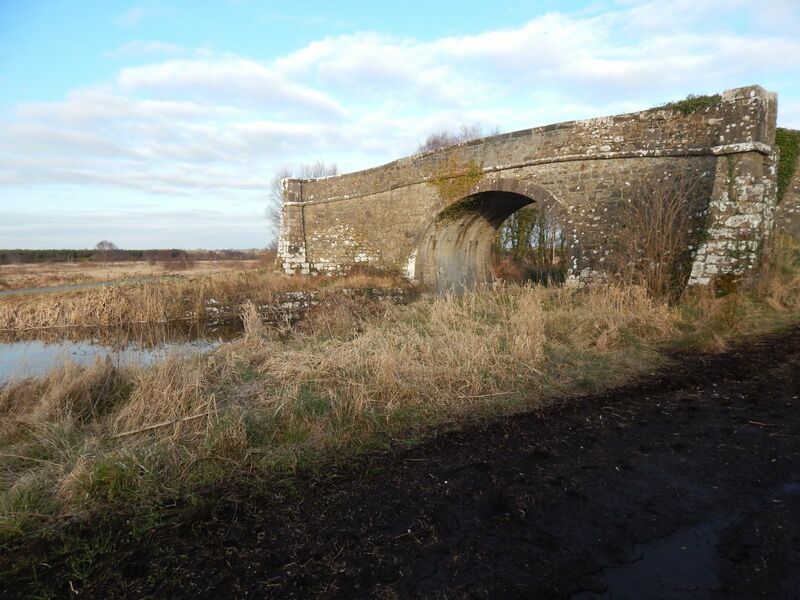 Fowland’s bridge was a bit awkward as there were works going on that blocked the path under it and so I had to climb up the bank and cross a barbed wire fence and the N55 to get past. It would have been nice for them to have put up a sign at the previous bridge. It was an easy haul into Abbeyshrule with the evening really turning quite fabulous. 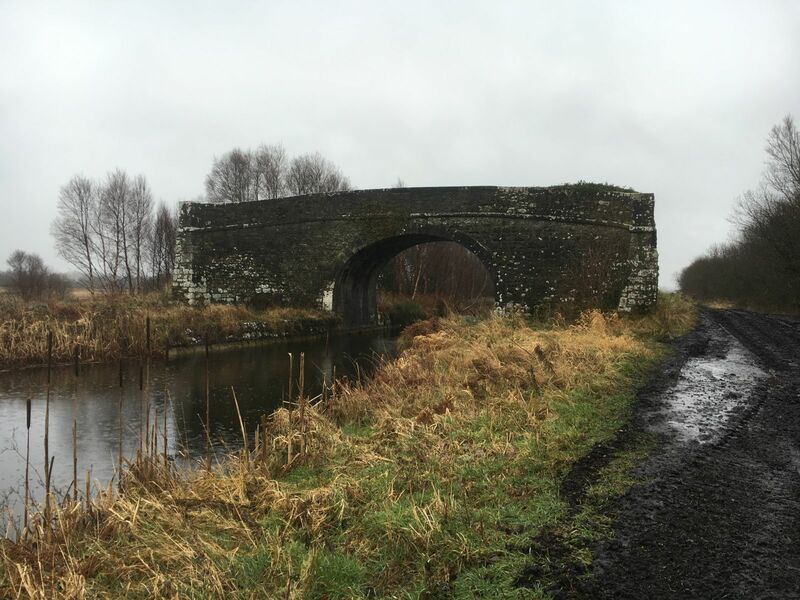 I reckoned up and decided I need to go a few hundred metres beyond Bog bridge and return to make up the marathon distance so I ditched my rucksack and decided to finish it up. 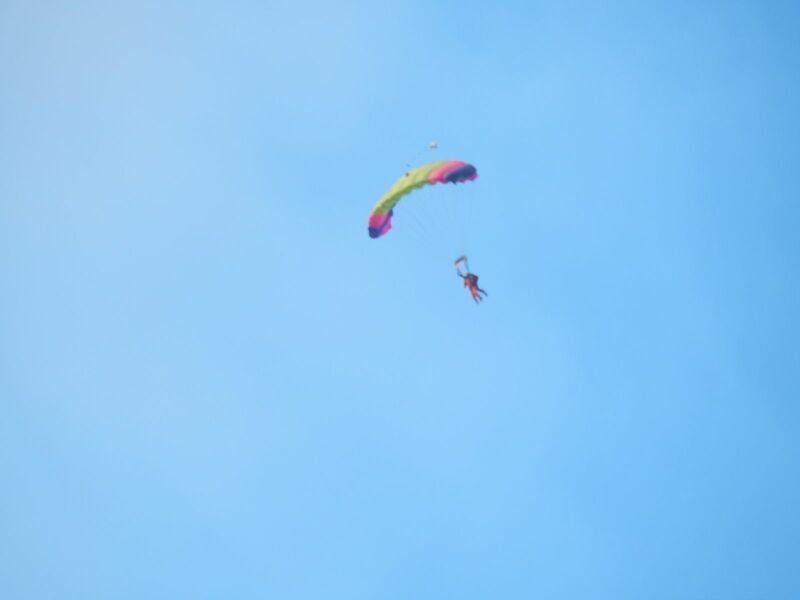 On the way out, there were some people parachuting. 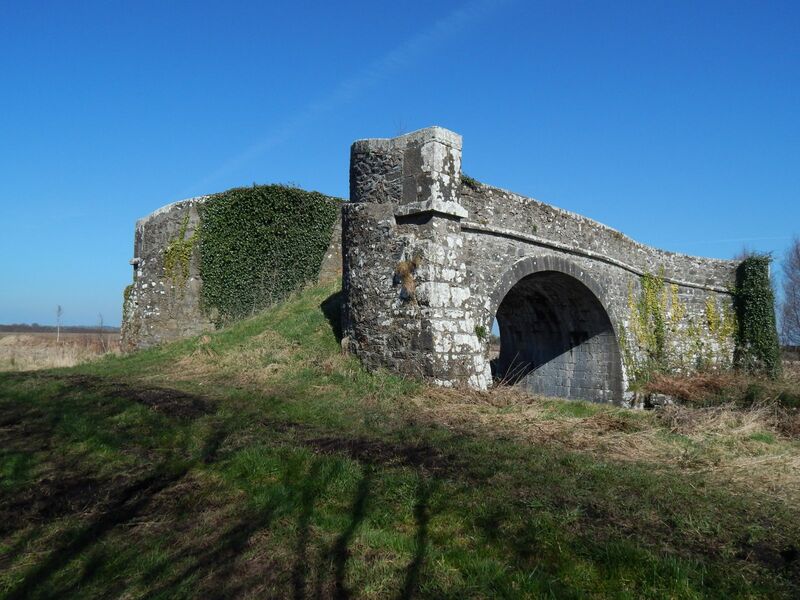 I made it to bog bridge with no great fuss and then headed back to Abbeyshrule to head home and eat a huge dinner. Today’s walk was a somewhat strange quest – the idea was to do a walking canvass in support of a local Green party candidate who is running for election. In practice, we know it wasn’t going to be much of canvass as I wasn’t likely to meet many people but the idea was to draw people’s attention to the fantastic resources we have in the area that are being so woefully underused. I’ll have to apologise for the photography on this way – the weather was so wet that I had to stow my camera so most of the pictures were taken on my phone. Today the plan was to leave from my back door rather than driving to the start of the walk. 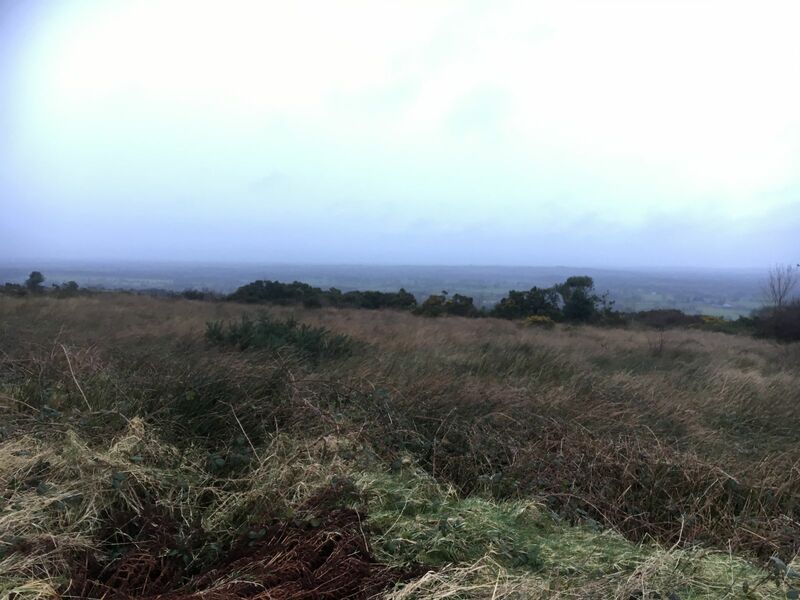 This was for two reasons – first I didn’t want the hassle of picking up my car and second I wanted to walk some of the roads up on Brí Leith (or Ardagh Mountain). So I set off as soon as it was bright enough to be safe on the roads. My route took my straight up the mountain past the entry point to my usual forest walk and I quickly got to a point where I was treated with the fabulous view over the plain from the top of the hill. Although this part of the country is somewhat lacking in mountains, when you do get to the top of a hill, you are rewarded with spectacular views. Unfortunately, it was a bit dreary today to make the most of it. I didn’t go right to the crossroads at the top as the map had little shortcut up a track and I figured I may as well do a bit of exploring. This lead past what I think was a water storage tank. By now a bit of drizzle had started which was annoying and was to become a feature on this walk. It was interesting to see the other side of the mountain while walking along this road. This track turned back into a road and I found myself walking a dead straight road for about 3 km. There wasn’t much traffic about – just a couple of farmers getting a start on the day and a single runner. It was on this stretch that I managed to get rid of my own canvassing literature of the day. 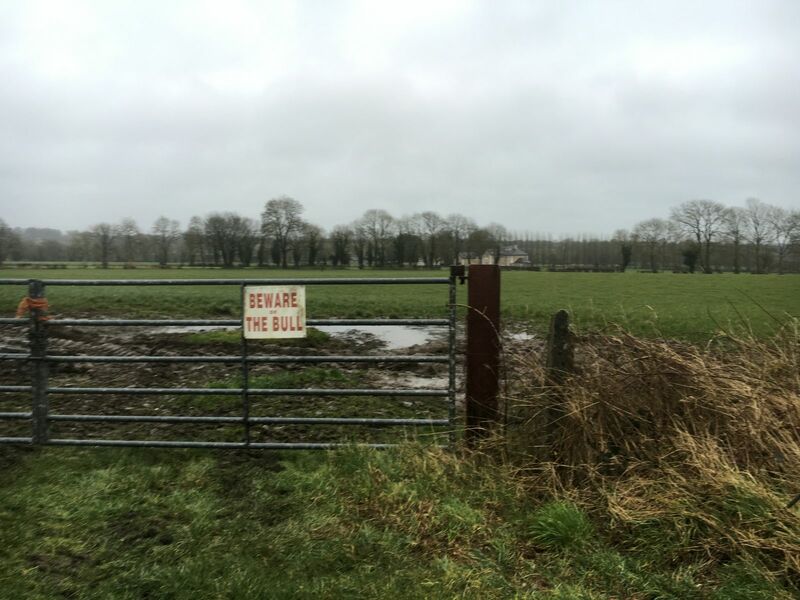 Anyway, this road took me towards Carrickedmond and Monument cross roads where I saw this somewhat appropriate warning sign for the day. 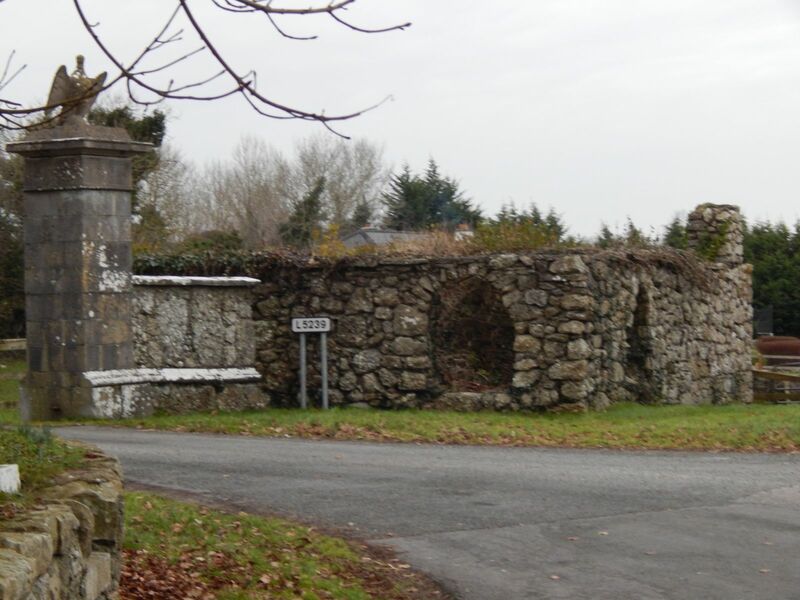 After this, I headed towards the N55 and cross this on the way towards Colehill. I used to be cycle these roads quite a lot and was always somewhat taken aback by the number of deserted houses in the area but on foot this is even more start – it is depressing to see fine buildings just being left to decay over the years. The rain was getting a bit stronger by now and it was all getting a bit grim before I even got to the canal. 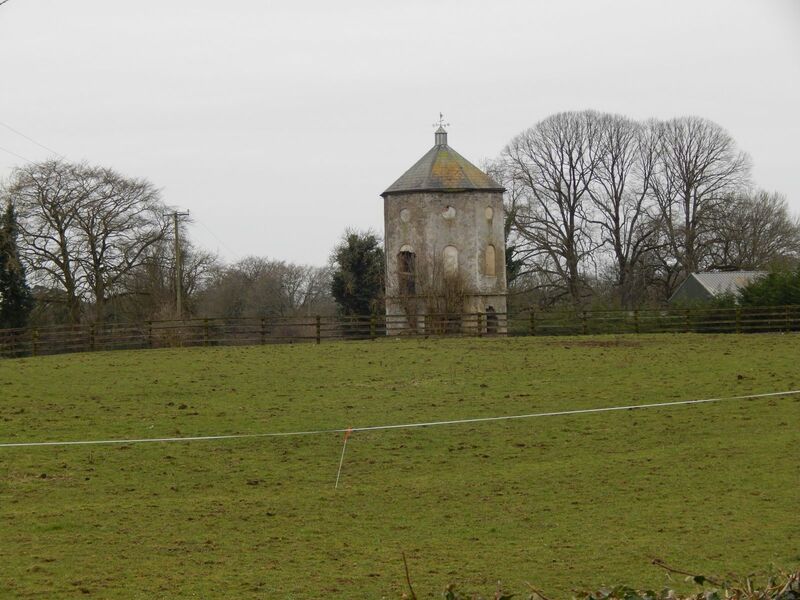 My pre-amble to the main walk was turning into a bit of a slog and I was glad to see Abbeyshrule when I got there. I had a quick stop here to grab a mouthful of coffee but conditions weren’t really amenable to a sit down so it was literally a minute of a stop. 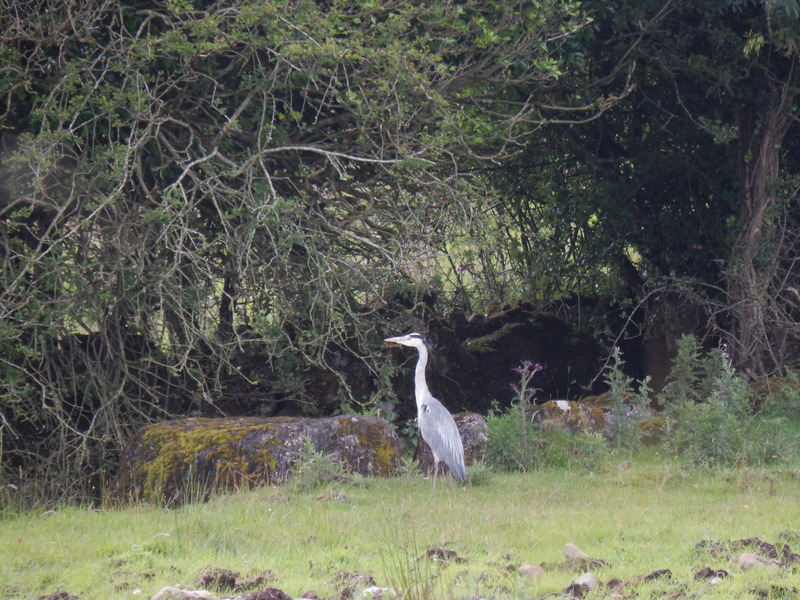 Normally you’d see a few walkers out around Abbeyshrule but this wasn’t to be today. 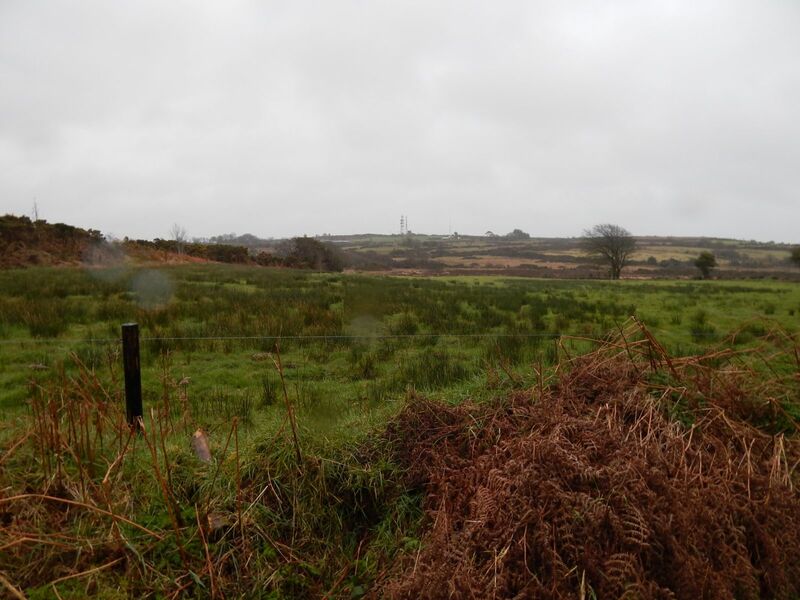 It was a bit of a mucky morning, but it was only really drizzle – not serious rain. 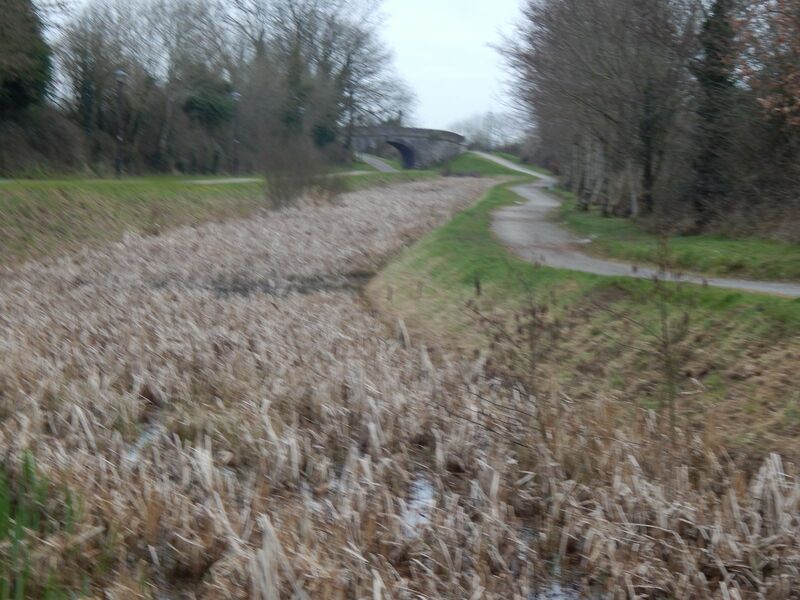 Anyway, for whatever reason I had the canal to myself as I headed across the Whitworth aquaduct. I was making quite good progress at this stage – well above my 5 km per hour goal. 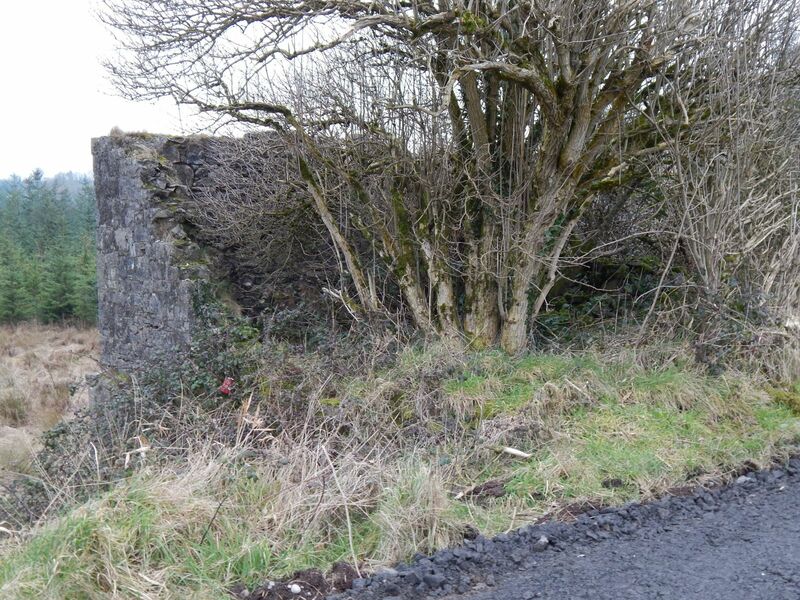 They have extended the proper surfaced track all the way back to Abbeyshrule on the opposite sign although it was still blocked off at the Abbeyshrule end as it isn’t completed. 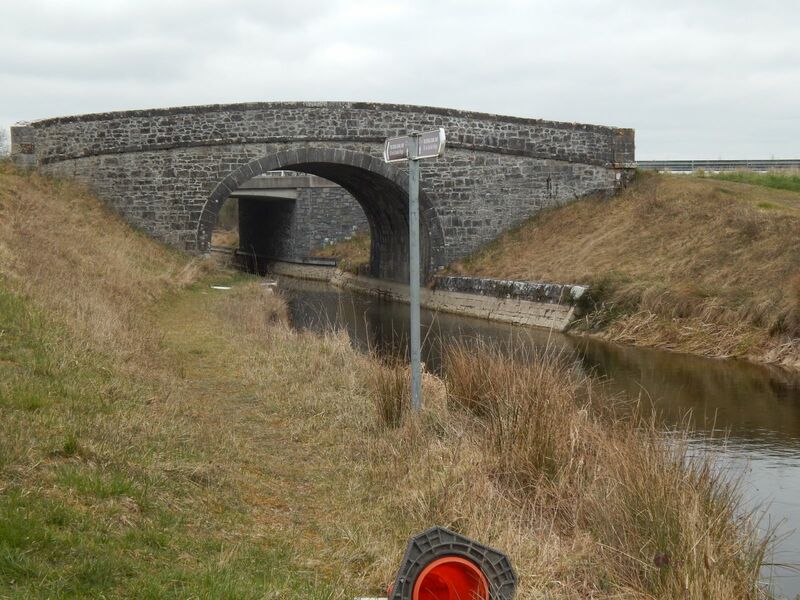 When I got to bog bridge, I noticed that the unsurfaced side which is the original Royal Canal Way was very badly torn up by machinery so I decided to cross over to the track. 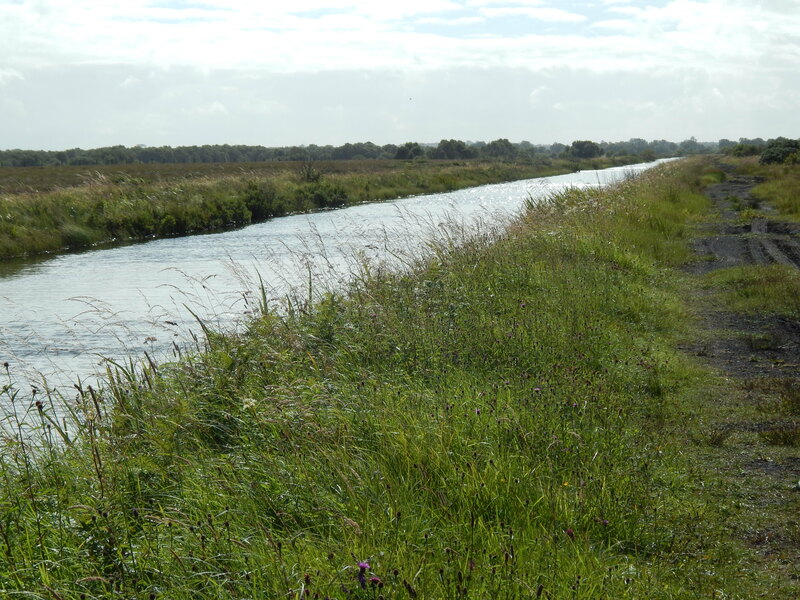 This stretch of the canal is about the wildest part there is. As you cross the bog here the solitude is just amazing. You are completely alone with your thoughts. Only once I have a met somebody on this strange and it is so remote that the only sound of humanity you will hear is that of overflying aircraft. 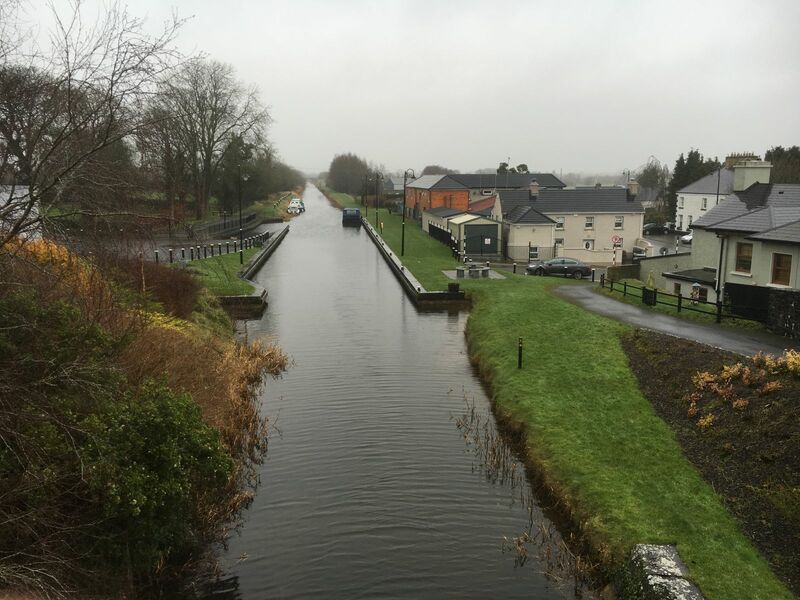 I pushed on towards Ballynacarrigy but by the time I got to the lock at Kelly’s bridge, the rain had eased off enough for a bit of a sit down with coffee and chocolate. Lock gate arms make for excellent picnic benches and are a good spot for a quick stop. It would be nice if there was a bit more attention given to spots for a bit of a sit-down along the canal. The odd bench or picnic table would be very much appreciated. Anyway, Ballynacarrigy arrived quite quickly and I had another quick stop to replenish my water bottle. This is quite a nice feature of this part of the canal. 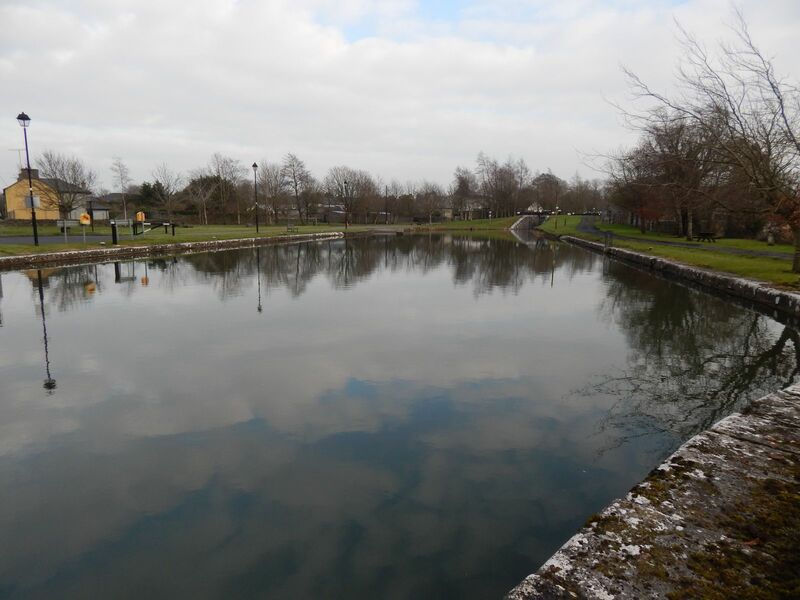 The harbours at Ballymahon, Ballynacarrigy and Coolnahay all have taps that you can use to replenish your water supply. This is especially nice in summer when I can easily get through 5 litres of water in a day’s walking. Somebody has been busy since the last time I was here as there are a load of new distance signs along the route. These are a welcome addition – the first time I walked the route I had no idea of what kind of distance I had left and it is nice to know. After Ballynacarrigy, I planned on stopping at Coolnahay for a spot of lunch but I started to hit the Wall a bit early at this point. My lack of recent long walks was showing so me legs started to give out at this point. 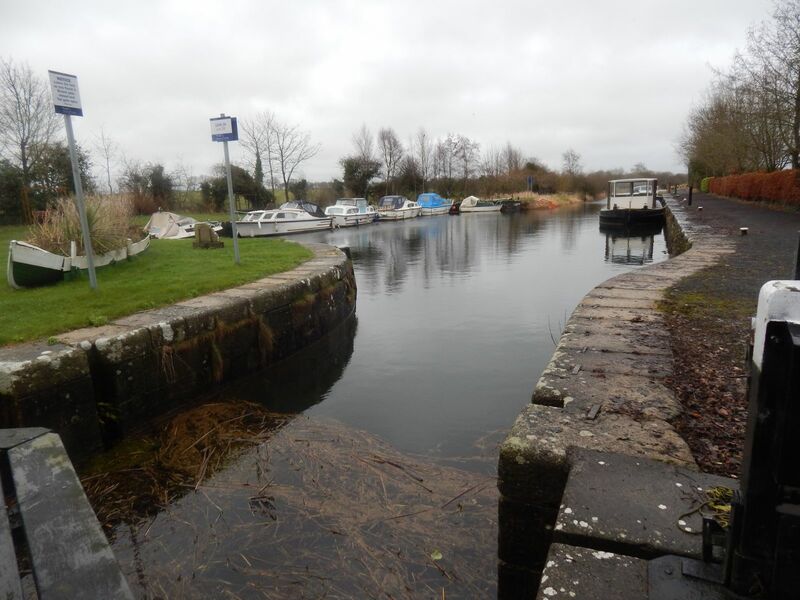 So when I got to the series of locks about 2.5 km from Coolnahay I gave up and sat down to a lunch of soup, bread and cheese on a lock arm. I also broke out my emergency Coca Cola at this point which is always good for giving me the zip for another few kilometres. My brother rang at this point to see if I wanted to meet up so we made arrangements to meet up at Ballinea and perhaps some of us would walk on into Mullingar while he went running. The Coca Cola worked its usual magic and I managed to get enough energy to get myself into Coolnahay which was unusually deserted. By now the rain had cleared off and it was quite a pleasant day for walking. I had another quick stop to put a bit more water in my bottle and pressed on towards Ballinea. That is about it really for my story of the walk. My brother called me again to let me know he was in Ballinea and we changed the plan since I was slower than planned so they would walk towards me and I’d finish up at Ballinea. I met a runner and a cyclist on this stretch but they were both going a bit fast for me to try stopping them for a canvass. So that was my day on the canal. 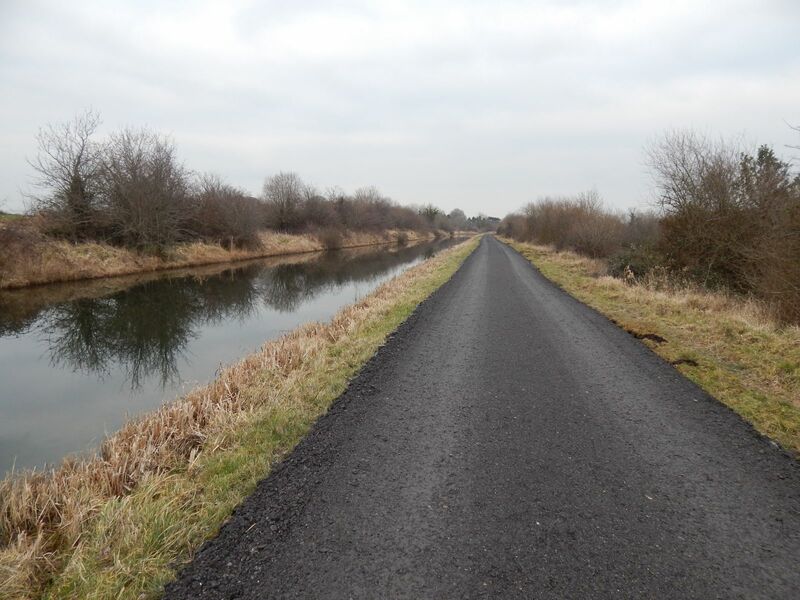 I wouldn’t say that I was planning for the day to be so solitary but I was surprised to see absolutely nobody for 20 odd km of the canal route even if it was a drizzly February Saturday. 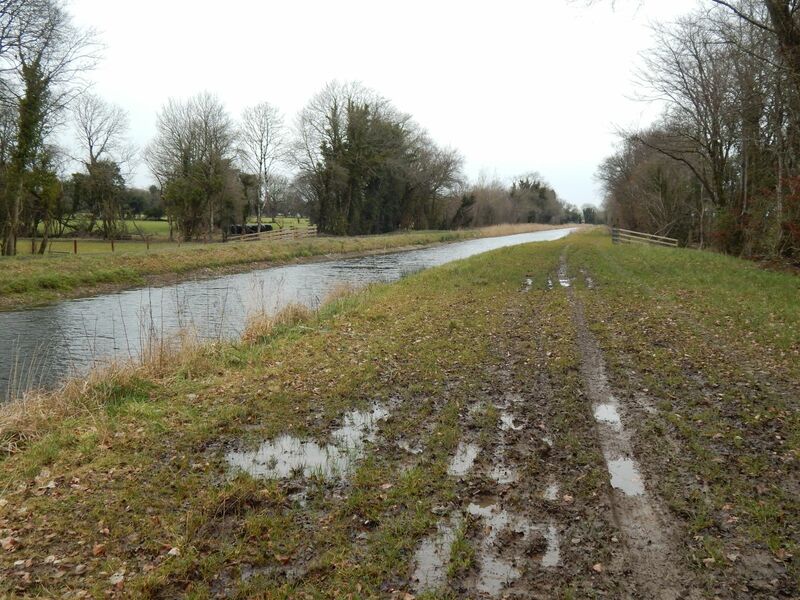 We have this amazing network of trails in Longford and Westmeath and it so under used. 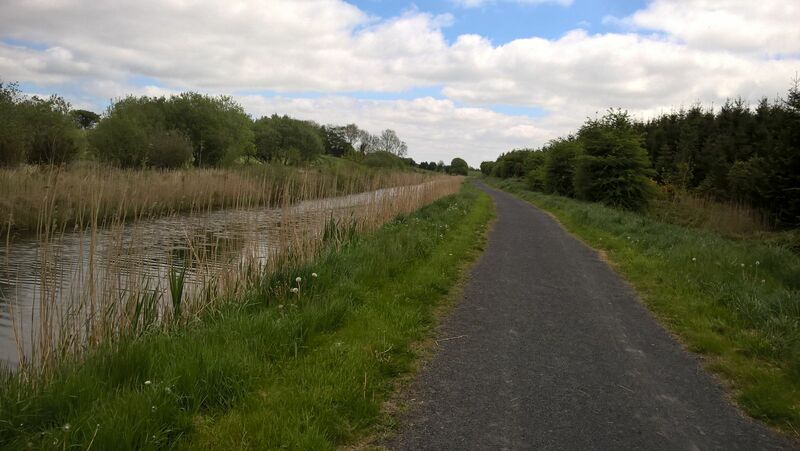 There is 100 km of canal trail in the area and another 45 of the greenway built on the old Mullingar to Athlone railway. I wanted to get a medium length walk so as to avoid going a whole month between long walks so the branch was an ideal length for me. I set off quite late in the day at about 11:30 but this wasn’t an issue as it is only a bit over three hours of a walk. I decided to take the younger of our two dogs with me as she was well able for it. 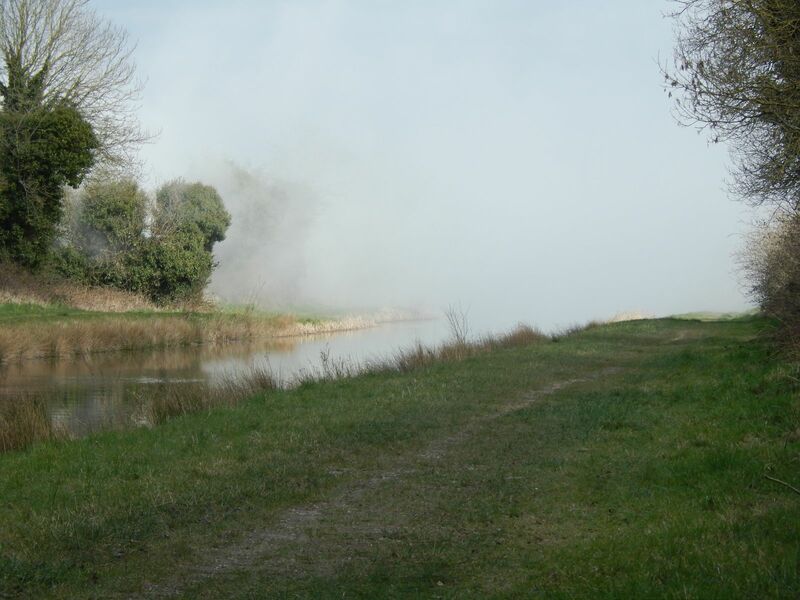 It is mandatory to use a lead on the canal and as there are several road crossings, it would probably be unwise not to. I made good time along the section through the outskirts of Longford town and was crossing the N63 after about half an hour. At this point, it gets a lot wilder with willow trees growing in the line. I kept travelling at a reasonable pace making a little over 5 km per hour. We kept this up until we got to the main line which is a bit of 8 km into the walk. I took a short break here and had a snack before pushing on. I stopped to talk to a couple of kayakers on the way towards Killashee. Indeed, the guy there doing kayak hire was doing a roaring trade and there were no less than 5 boats out on the canal. 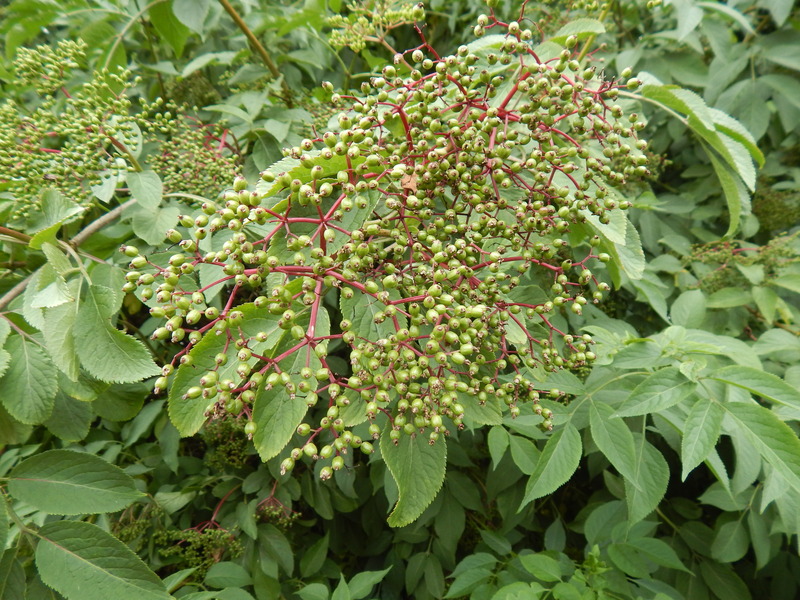 The elderberries are close to being ready. 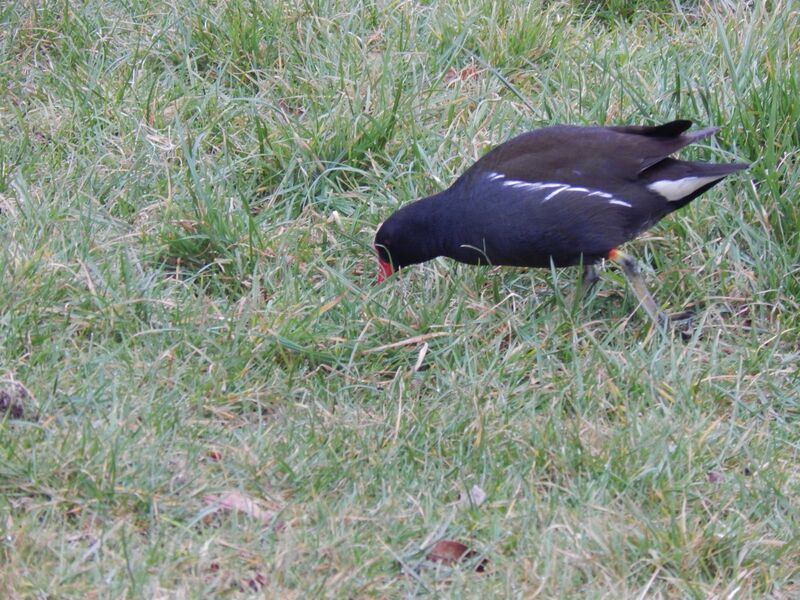 You really need to be quick if you want to pick these as the birds tend to get them very quickly. 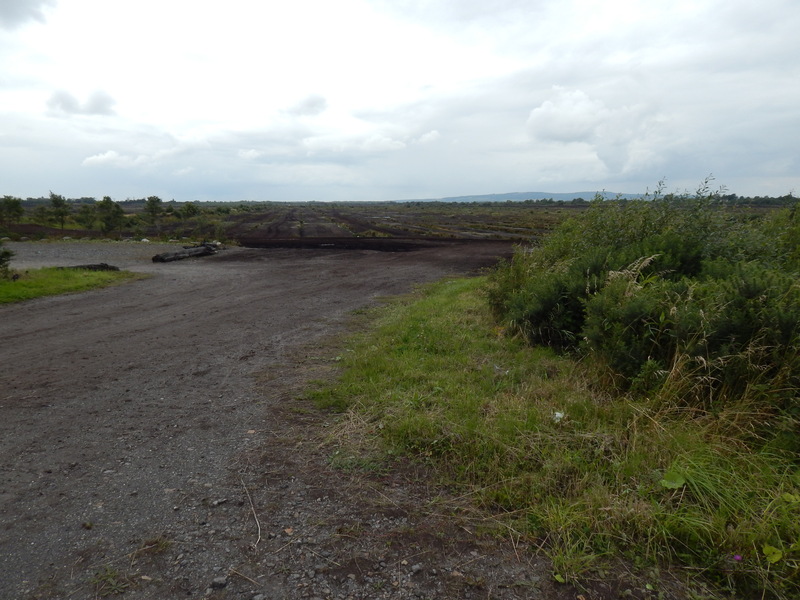 It was all go on the bog section near Clondra and there were a lot of people working there despite it being a Sunday. I guess you take your dry days when you get them at this time of year. I made it into Clondra after about 3 hours and 15 minutes which isn’t bad for a 16.5 km walk. I’ve posted this walk as being slightly longer before but my new phone’s GPS is giving me a bit less credit so I’ll still with what it told me. After quite an extended break from long walks, I finally managed to get out for a walk over the weekend. 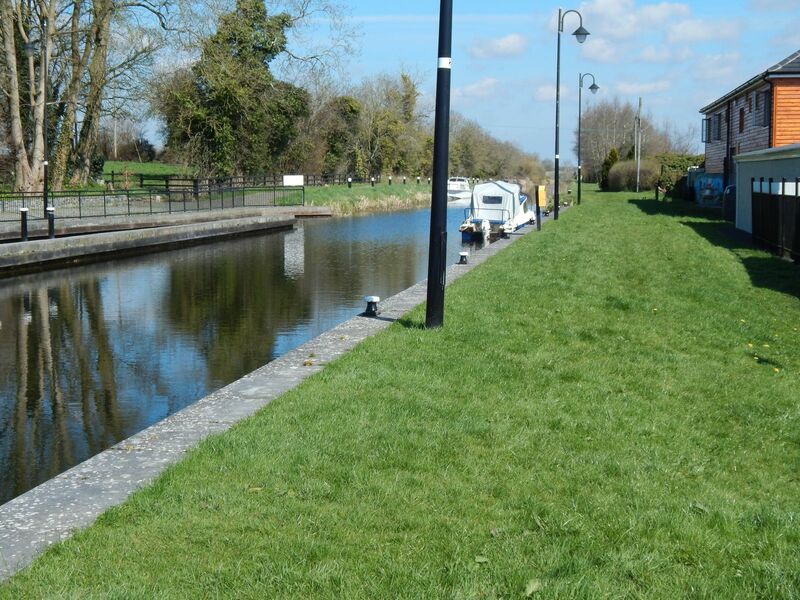 As it was on short notice, I just did a canal walk into Mullingar on a route I’ve done four times now. I started out from Fowlard’s bridge at about 8:30 and set off towards Abbeyshrule. It was a fine sunny morning but it really was quite windy and the weather had a general air of unreliability about it. 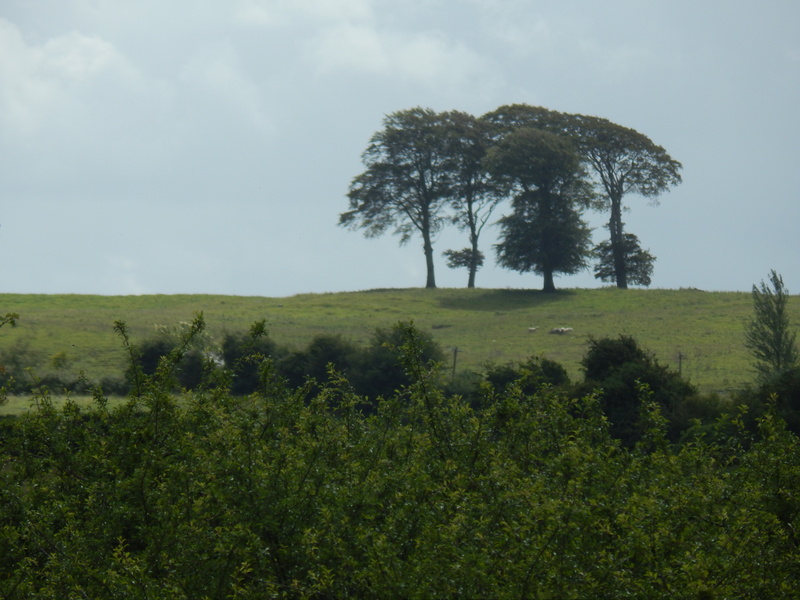 Still, it was pleasant enough going even if the grass had a heavy dew on it which saturated my boots quite quickly. A little dampness made it through the GoreTex but nothing too bad. I arrived into Abbeyshrule after about an hour. There had been a helicopter crash in the village about a month earlier and it was really impressive how well they had cleared up. From here it was a quick walk onto the Richmond aquaduct and on towards the really wild part around Bog bridge. This is possibly my favourite part of the entire canal and I had been quite alarmed to hear that they were putting down a proper path. 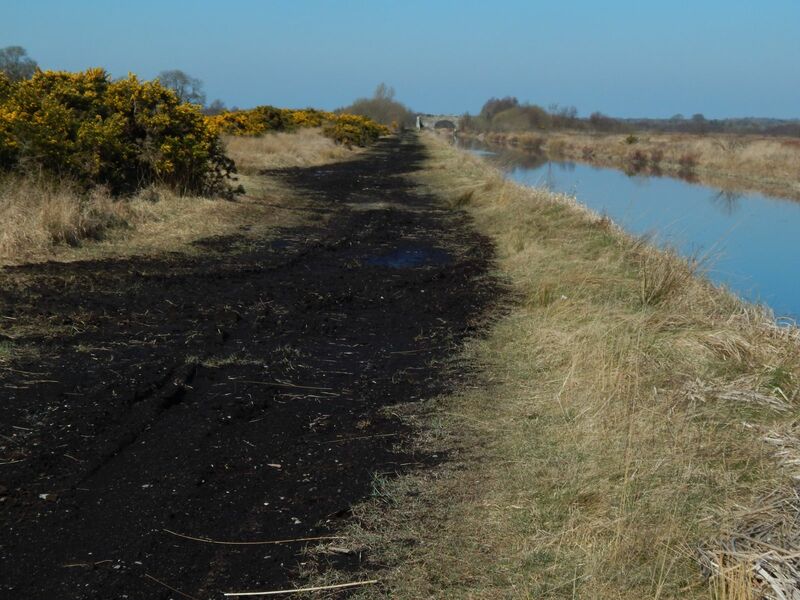 But they have actually made a really good job and put the path down on the northern side of the canal and left the existing wild side alone. 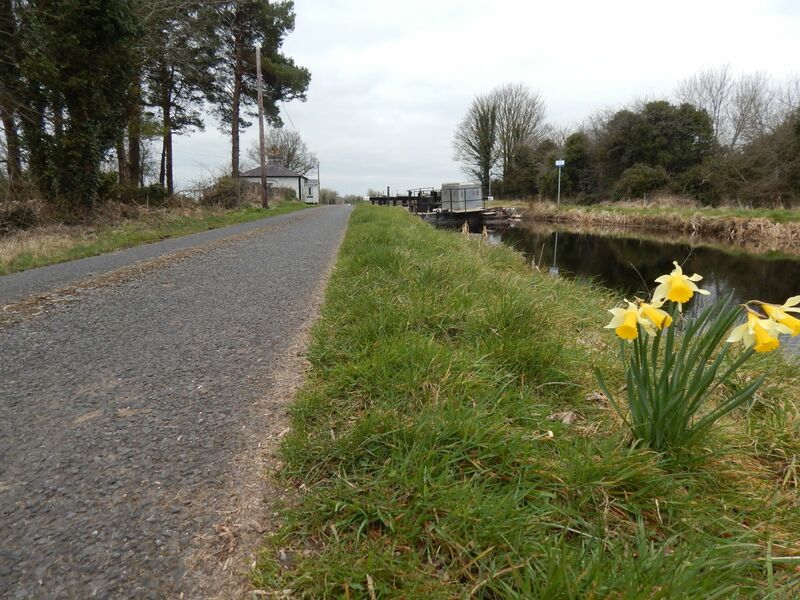 I headed on towards Emper and took a coffee break at one of the locks there before pushing on to Ballinacarrigy. I nipped into a shop there to buy myself an ice-cream and kept going. It was fairly easy going and the weather remained dry enough as I carried on. The wind was really starting to pick up. I had resolved to wait until Coolnahay for my lunch so was starting to get a bit tired. 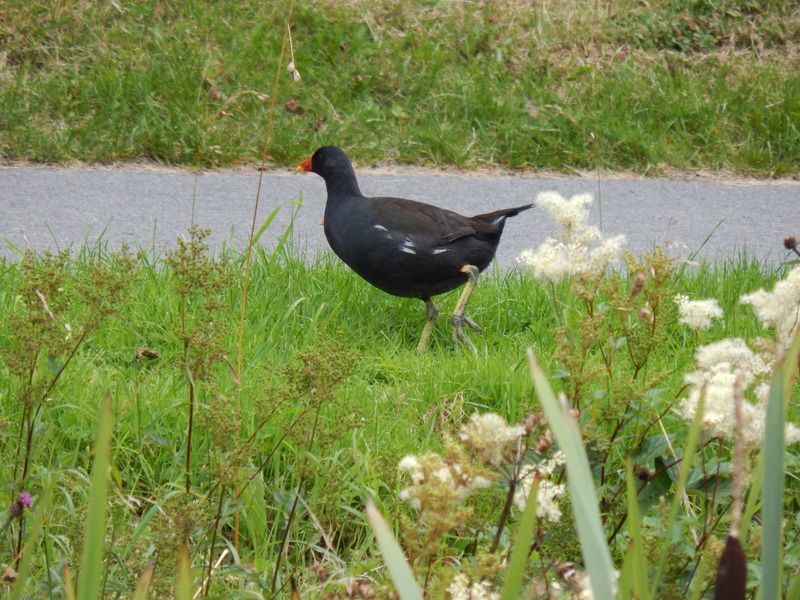 There was quite a bit of wildlife about. As I got closer to Coolnahay I was starting to get quite tired after my morning’s walking. 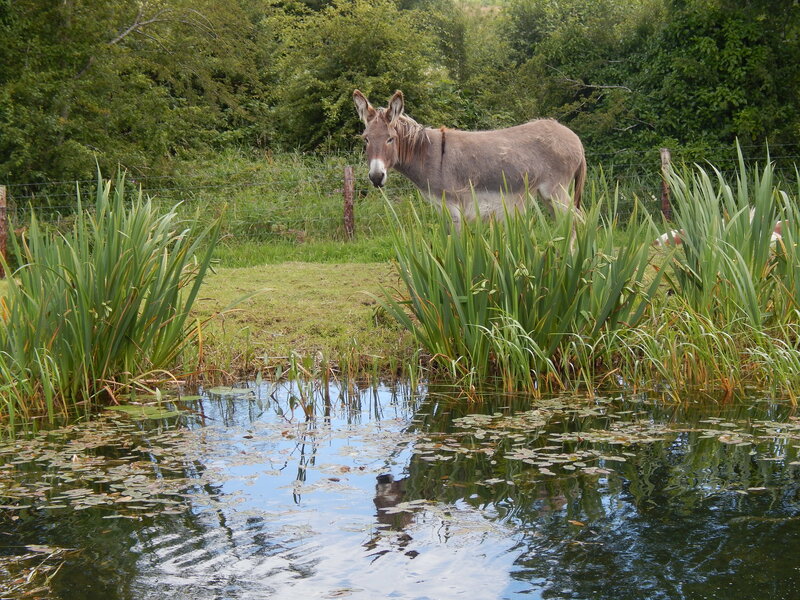 Somebody keeps a few donkeys on the far bank a few hundred metres out of Coolnahay so I was glad to see these guys. After about 15 minutes stopped at Coolnahay, I got going again. 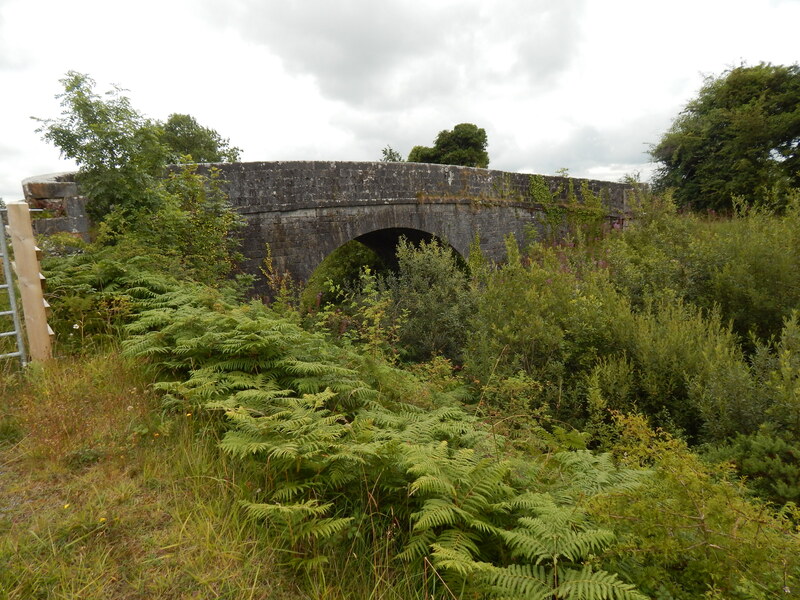 It wasn’t long before I passed the ugly modern bridge which marks the half-way point between Coolnahay and Ballinea. 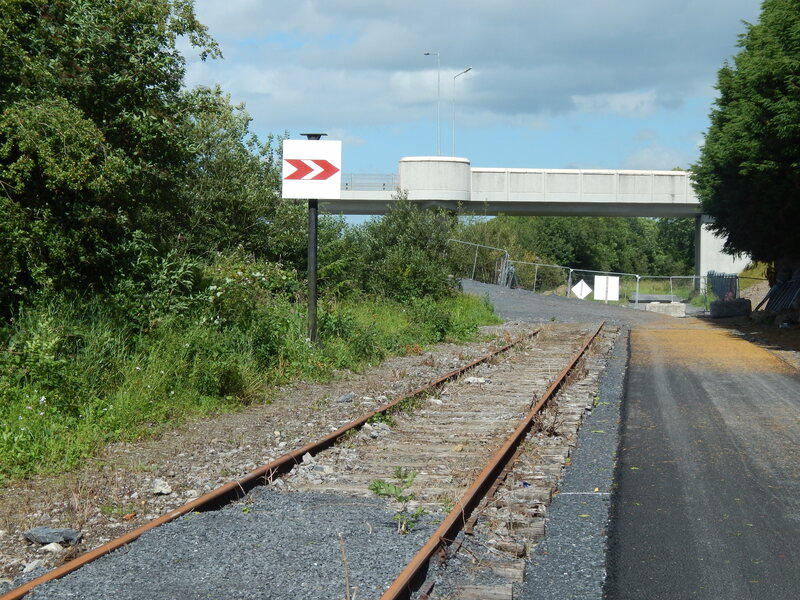 After another quick stop at Ballinea, I came across the old Mullingar to Athlone railway which is being converted into a greenway. Although it wasn’t technically open yet I heard voices on it and so nipped through a gap in the hedge onto a pristine new cycleway. It wasn’t the best of walking surfaces but it was interesting to walk along the old railway. This used to be a double line so there was enough room to leave the greenway beside the existing track. 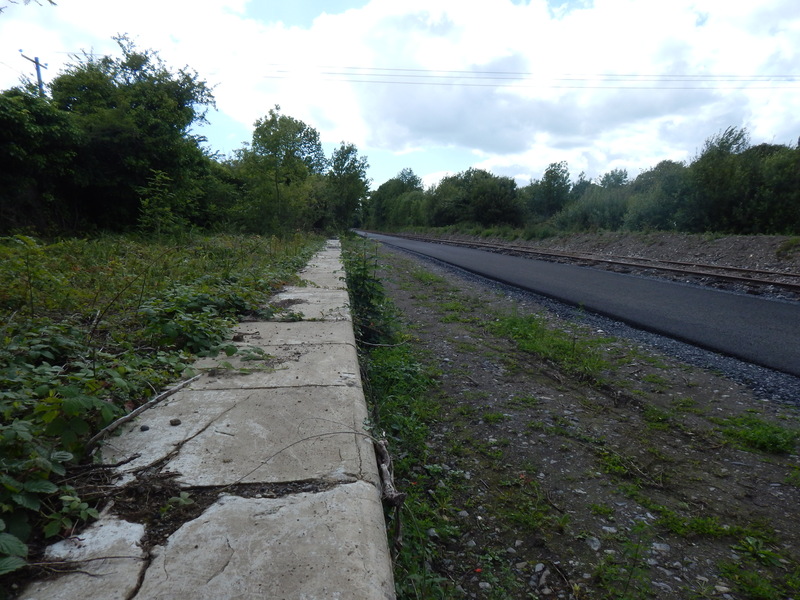 I’m not sure why they left the track in place though as the sleepers are so rotted that it would need lifting and relaying anyway if it were ever to be used again. I stopped for a little sit down on a platform after a bit as I was getting near to be my destination and I knew I’d have about half an hour to kill before my train was due. This is still technically an open railway so somebody has hung a sign with a stop signal on it from an old signal post. I arrived into Mullingar station after about 7 hours on the trail of just short of 34 km. It was a nice way to restart my long walks. As my dad has a new mobility scooter we wanted to find a good spot to take him for a wander and Coolnahay came to mind as it has a good solid path and not too many obstructions. So we set off for a wander on a fine May afternoon. Oddly enough, for a place that normally has so many people about it was quite deserted. Still it was a lovely peaceful time. Conscious of the range of the scooter we turned round at about 4 km although if I’d known how close we were to Ballina we should have gone the rest of way. 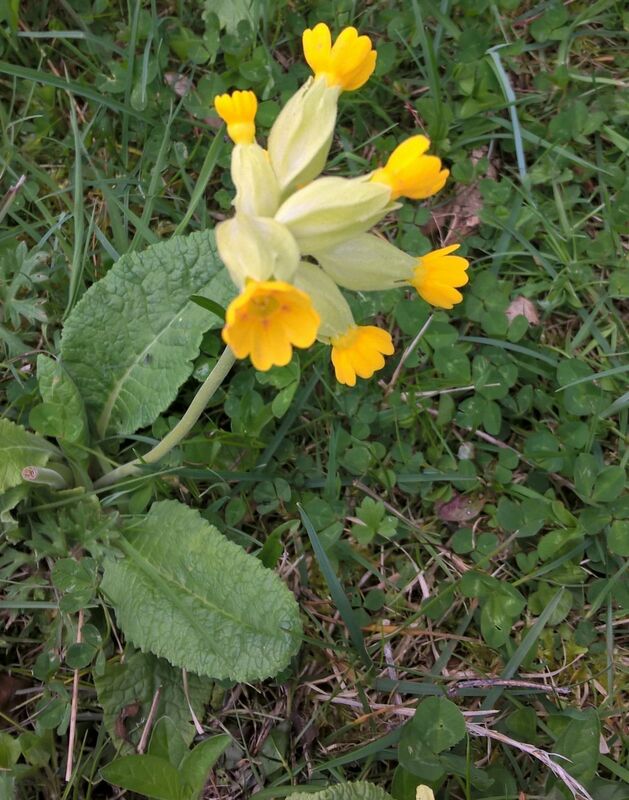 There were loads of cowslips around – they seem to do really well in the undisturbed grass. 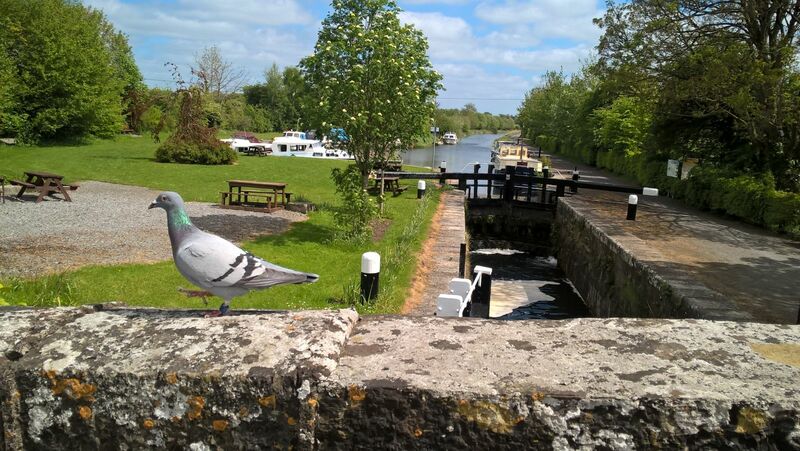 When we got back to Coolnahay we came across an interesting sight – a racing pigeon was having a rest on the bridge. He was really tame and came right up to my daughter. That was a nice end to a nice relaxing walk. 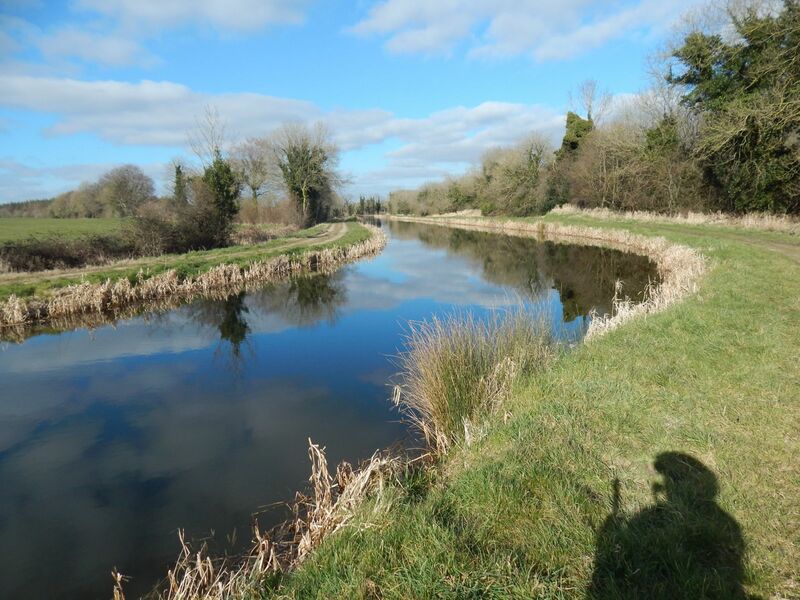 There was a bit of a festival on in Clondra for the weekend celebrating the opening of the new “Blueway” on the Shannon and Camlin rivers. These are supposedly a new invention where you can walk, cycle or paddle a canoe. I though you could do all this anyway on the canals as they were but I’m no expert. Anyway, we got there and couldn’t see any path so I presume this was a canoe only version. I’d also forgotten my camera so I just took a couple of snaps with my phone. 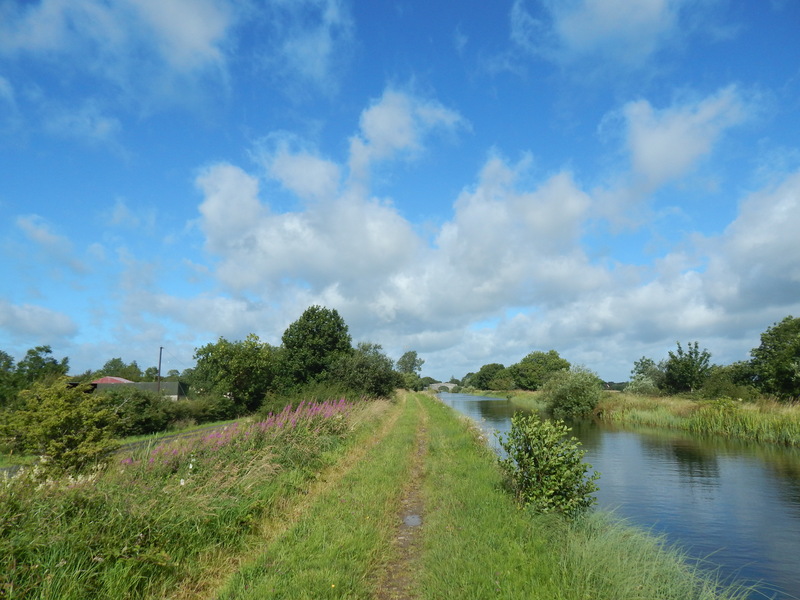 We went on a bit of a wander up the canal for few kilometres as a leg stretch. This is another section I’ve done four or five times so I didn’t feel the need for a heap of pictures. We had a fine sunny day for the most part but we did get a bit of a shower on the way back. This walk marks the half-way point of my original 1,000 km target for the year and also gives me 100 miles for the month of April. As it was a fine evening, I decided to go out for a few kilometres on the canal to try to find a geocache with the children. We set out from Abbeyshrule village to give ourselves a reasonable length of walk as the cache was supposed to be up around Bog Bridge. We had a fairly uneventful walk along the canal aside from a bit of a stop for the children to pet a pony. 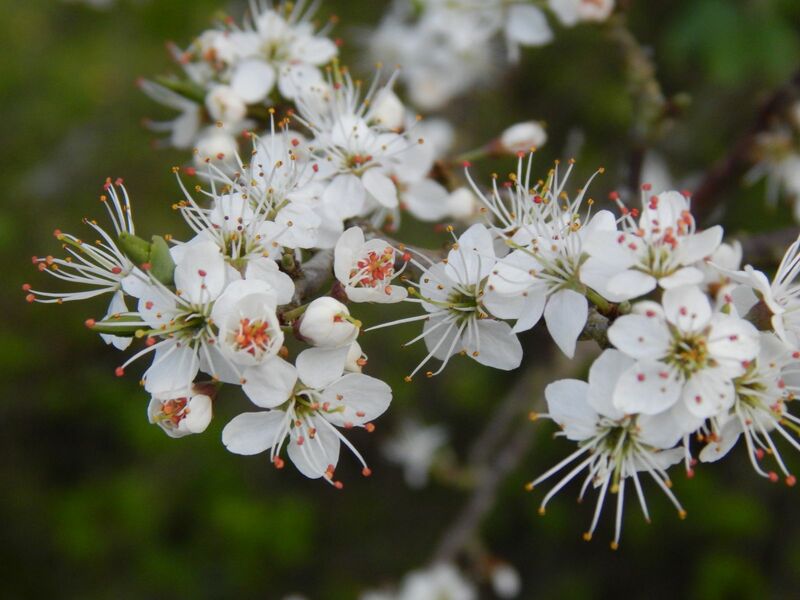 The blackthorn is starting to flower in places so we’ll have a riot of white hedges for the next couple of weeks. We managed to keep up quite a pace, probably due to the exciting nature of our mission. 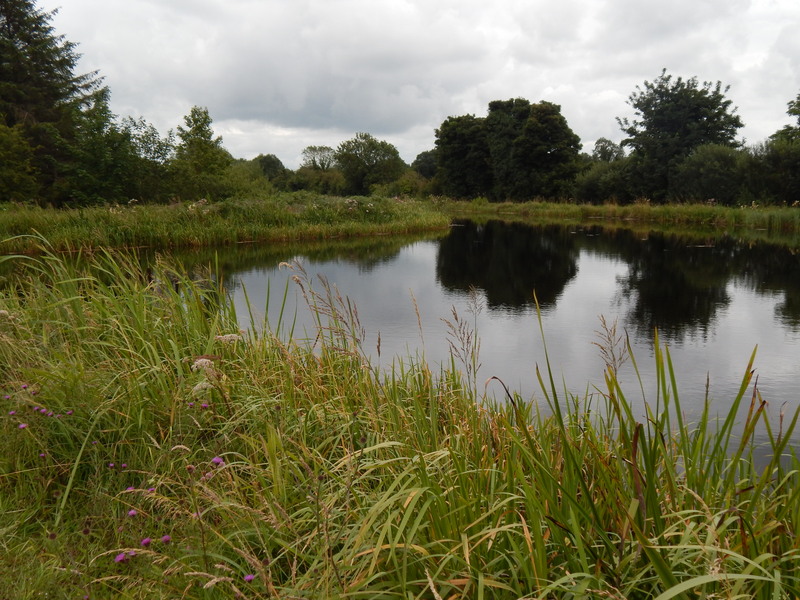 Once you get a couple of kilometres out of Abbeyshrule you are in proper bogland. 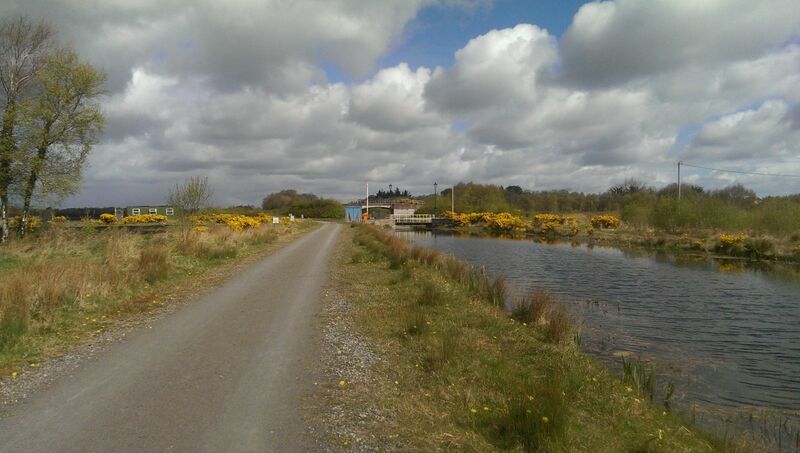 We got to Bog Bridge and according to my phone still had a few hundred metres to go. This is a particularly remote area due to the bogland. We found the location thanks to the good description on the geocaching website. The last walk of my long weekend was a planned 15 km trip with my son along the canal. 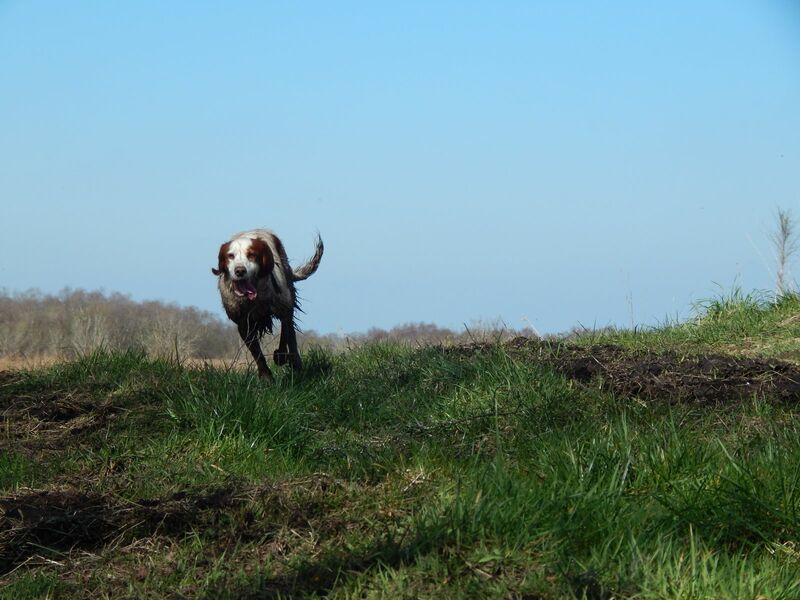 We had a fantastic day for it with the sun shining from early in the morning. We got ourselves on the trail by 10:30 on a quiet morning in Ballynacarrigy. 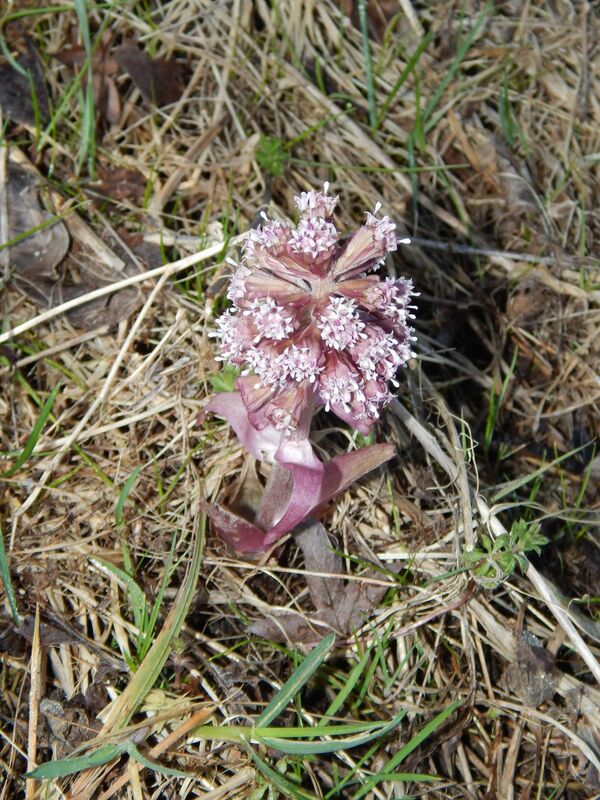 I spotted this interesting thing flowering. I have no idea what it is but it looked quite pretty. They have been doing more work on resurfacing the trail along this section and it looks almost completed. There was a man attacking some sort of road machine with an unfeasibly large spanner at one point on the trail. 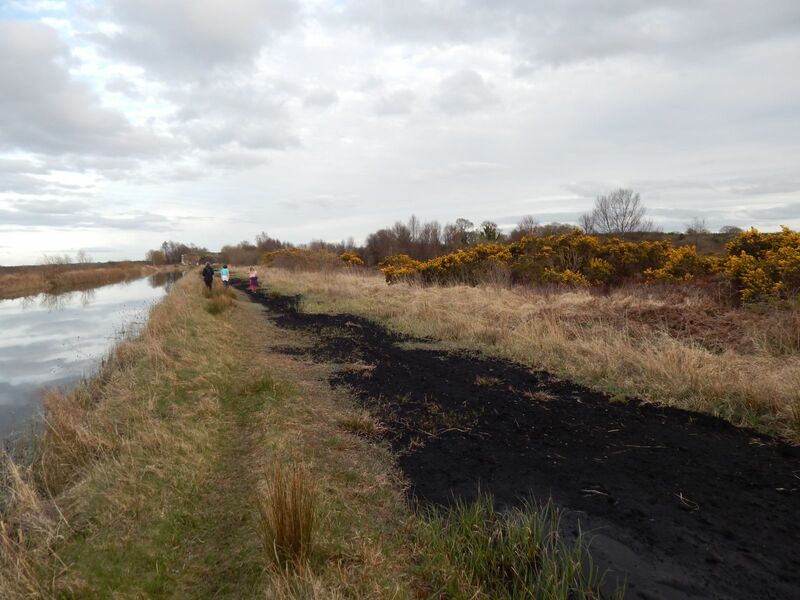 Luckily enough, the new surface runs out around Emper before we got to the really remote bog section. I really hope they leave that part alone as it is such a wild place but I don’t think that is likely. The incredibly odd bog bridge looms int he distance on this shot. At this point we were about a kilometre from it. 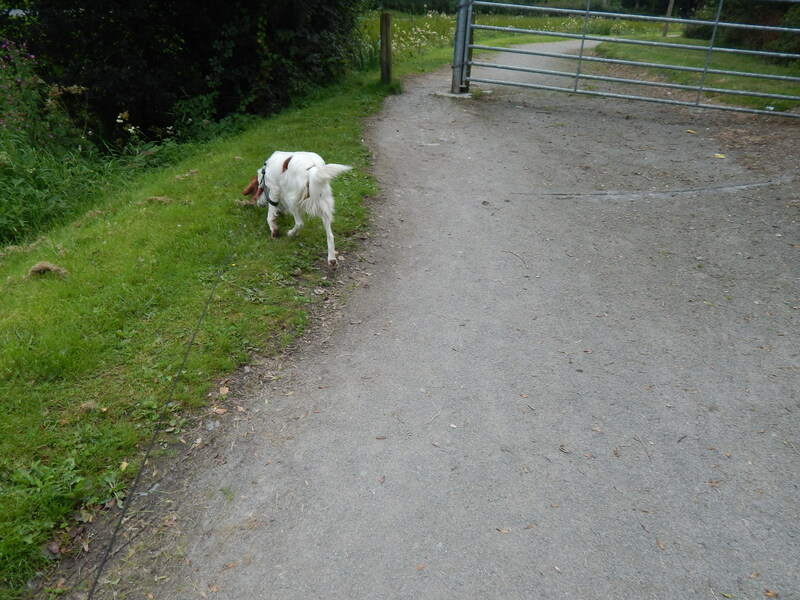 We had one of the dogs with us and I decided that as we were some distance from a road, it was safe to let her off the lead. She took full advantage and ran about like some sort of lunatic for this section of the walk. We took a breather at Bog bridge and we shared a bit of chocolate while I had some coffee. We still had Lily the dog running around and she entirely vanished at this point. 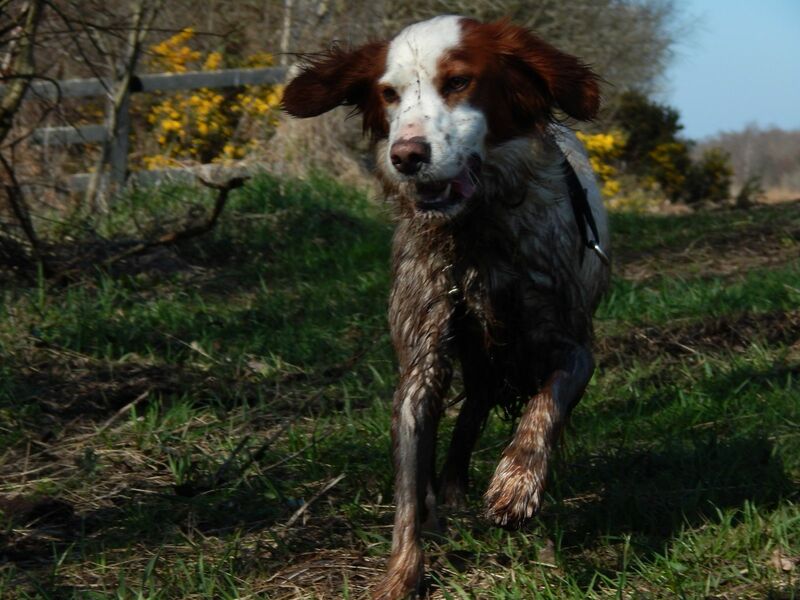 We were about to look for here when she returned after having had a nice swim in a bog-hole somewhere. So we packed ourselves up and left bog bridge behind us. 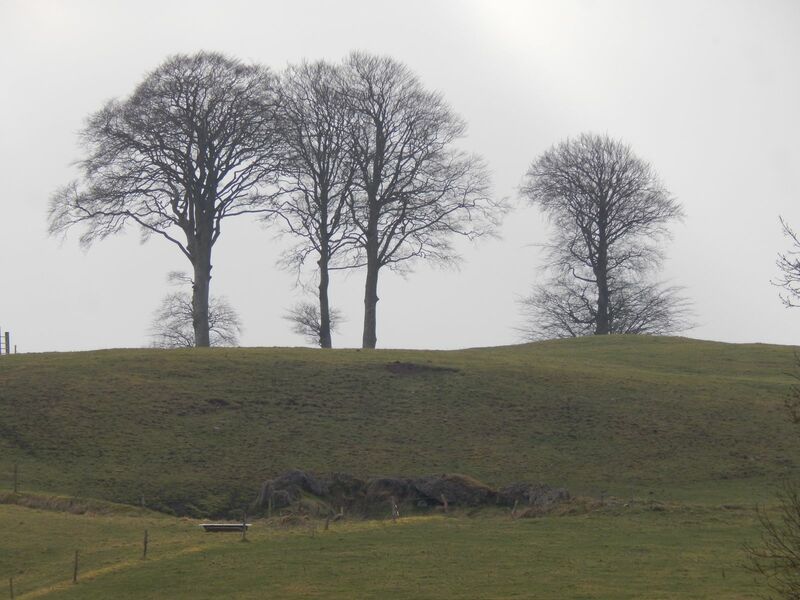 We headed on to Abbeyshrule where we stopped for another couple of minutes. 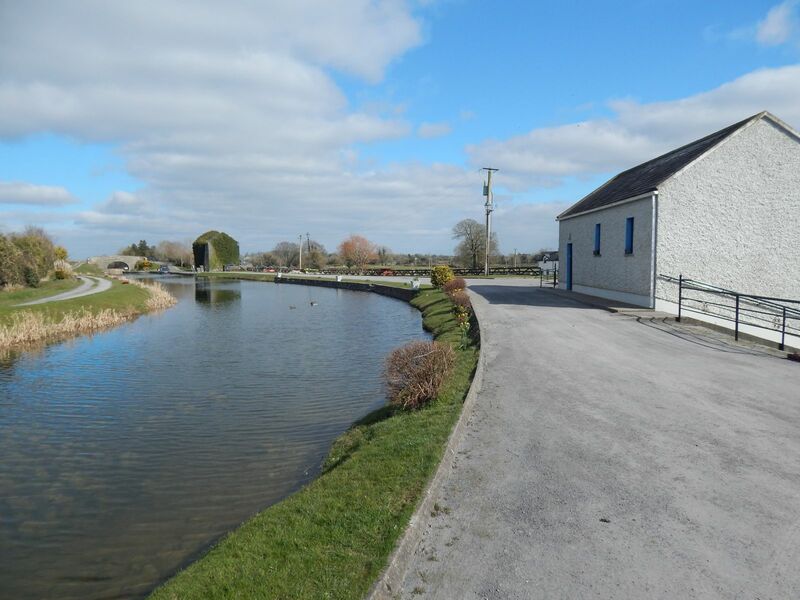 Abbeyshrule was strangely empty of boats for some reason. 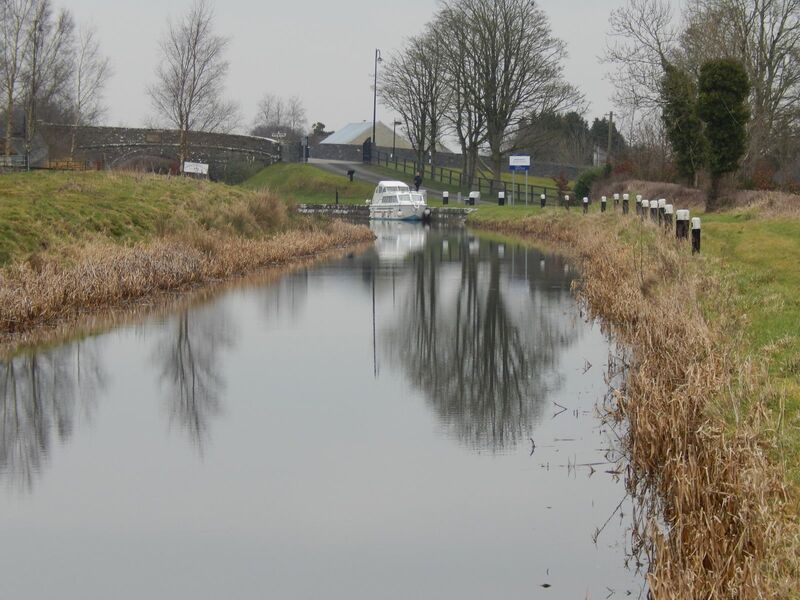 We headed on to the lock beyond Abbeyshrule where we had a quick lunch of tuna rolls and crisps. At this point we were down to about for kilometres left. I’ve done a couple of walks around Kenagh with a man who is trying to set up a walking group there, so I thought today would make a nice leg-loosener after the previous day’s exertions. 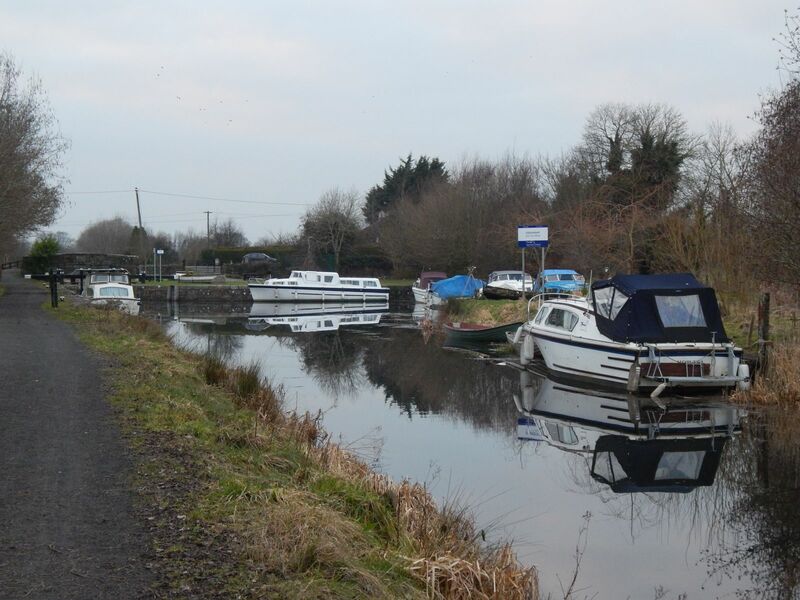 Kenagh is a nice little village that the canal skirts by and seems to have a few nice walks around it. Not knowing much of the history, I can’t really say very much about the various landmarks. I’m sure I’ll pick it up if I keep walking in the general area. The rain held off and it was a nice little walk. 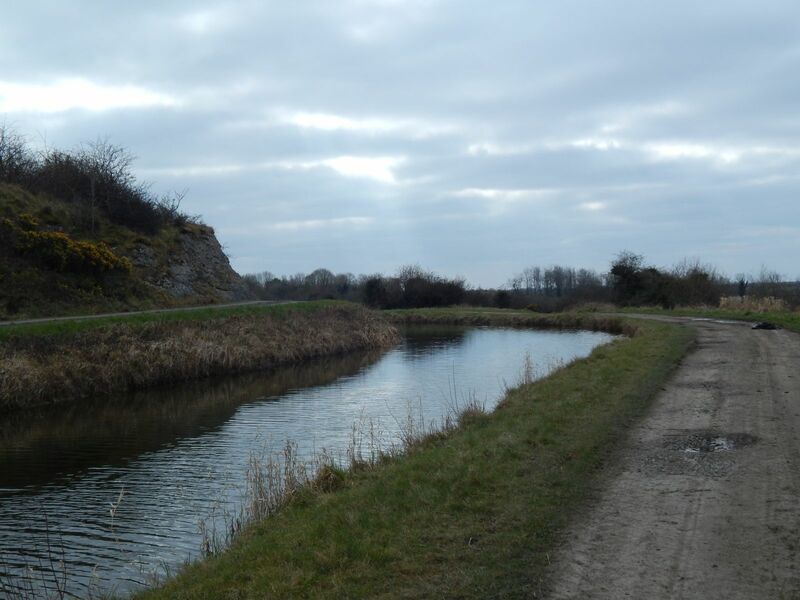 We extended the walk a bit from the previous week’s route and joined the canal for a bit. After about half a kilometre along the canal we rejoined to road around Island Bridge and walked back into the village for a short loop of about 4km over 50 minutes. I set off for a late start without really having much of a plan for the day. I had originally planned on parking the car somewhere and doing 20 km or so out and back from the car but when I was offered a lift, I took the opportunity to just do a one-way. The objective was only really to get out and try to improve my fitness a bit. So I set off eastbound from the rather unimpressive Fowlard’s bridge where the N55 crosses the canal with a lightly loaded pack at around 12. I didn’t bother bringing lunch as I figured I’d only be out walking for three or four hours. 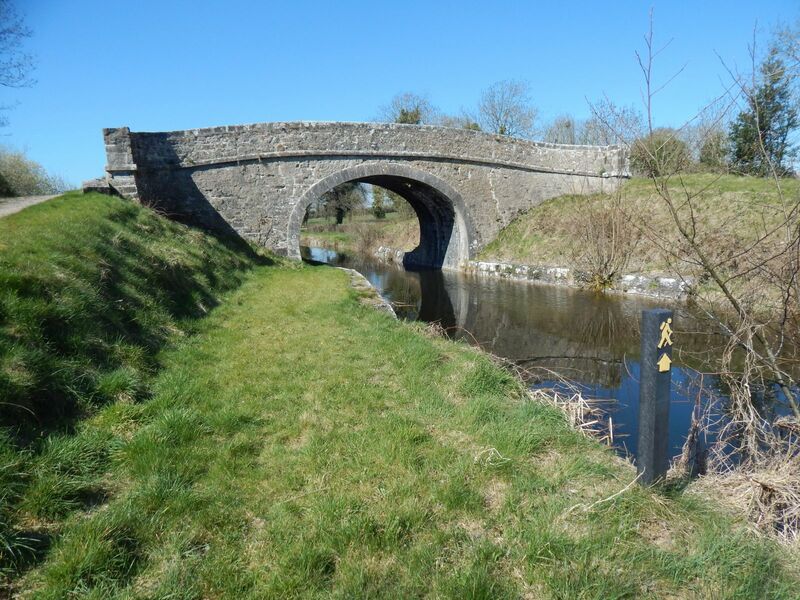 So heading onwards, I quickly came to a slightly prettier bridge – there are a few more normal canal bridges between Fowlard’s and Webb’s bridge in Abbeyshrule. This one, Guy’s bridge, is oddly situated right on a bend. 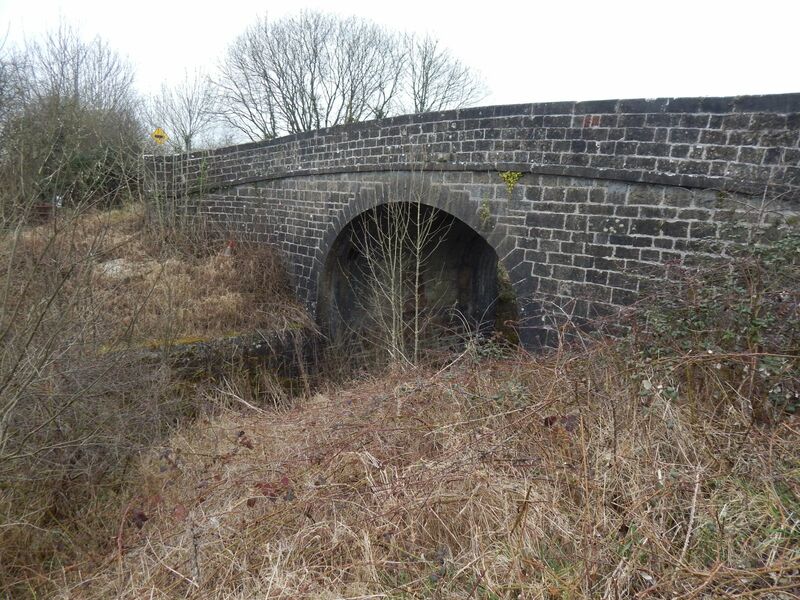 The roads often curve at strange angles as one cost-cutting measure they used when building the canal was to always have the bridges cross at right angles. There are a few exceptions but for the most part, it is the road rather than the bridge that makes the adjustment. 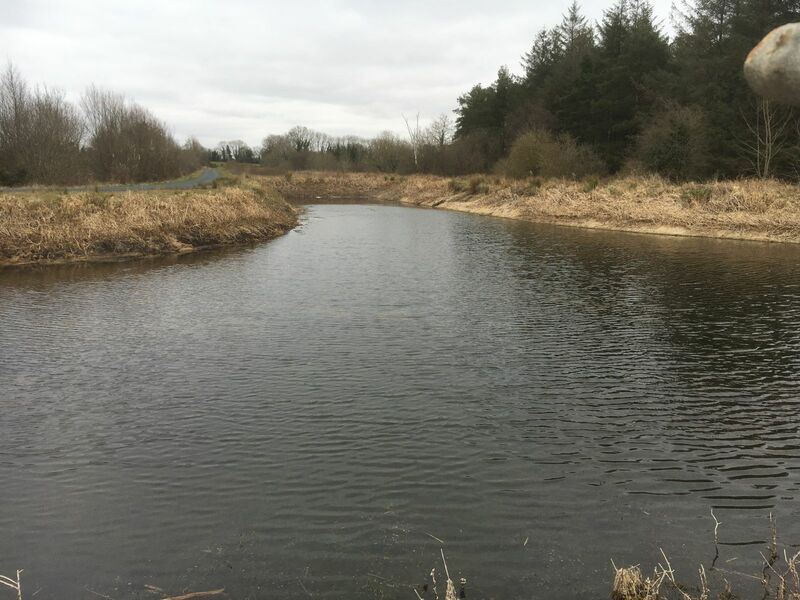 Not a lot further on and Eithne, the River Inny starts her dance with the canal and both the canal and the Inny will weave around each other for the next few kilometers. 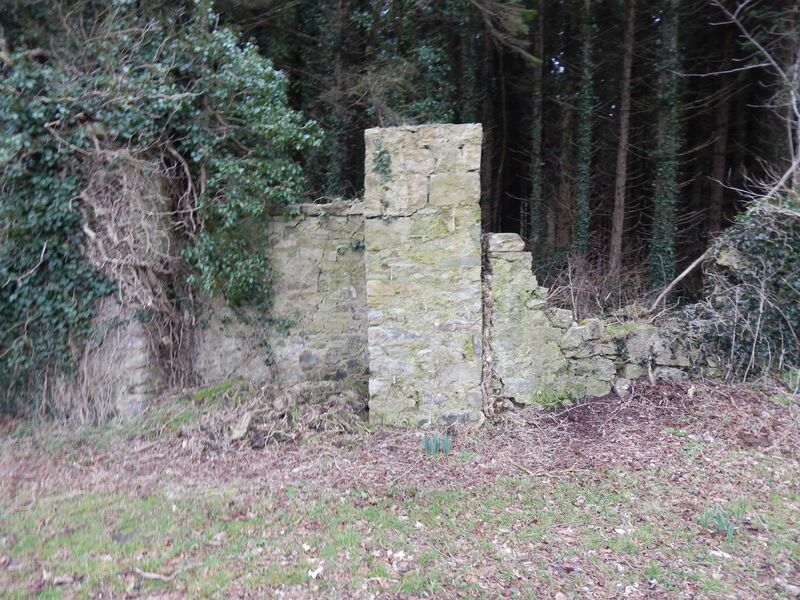 I pushed onwards at a reasonable pace and make it to Abbeyshrule a bit more than an hour into my journey. 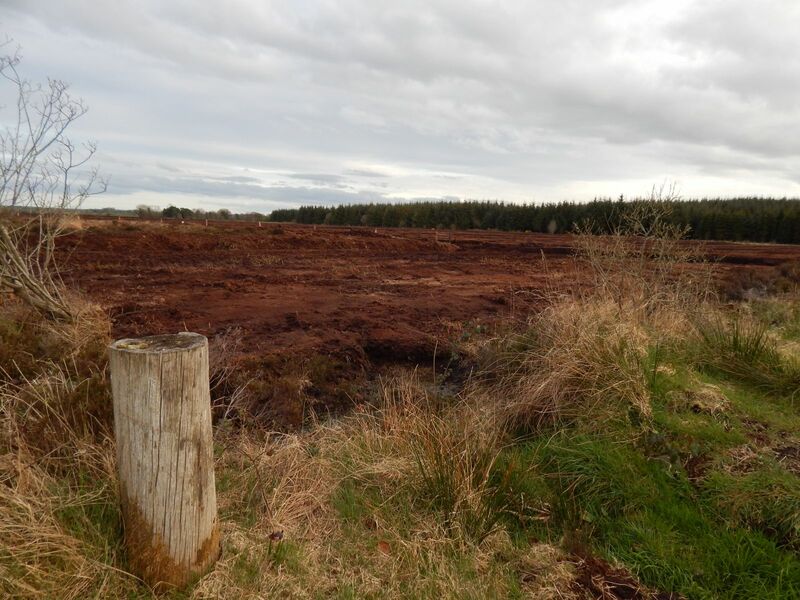 I actually didn’t bother stopping at Bog Bridge as I didn’t really feel like it and so continued over the empty bog between Abbeyshrule and Ballynacarrigy. 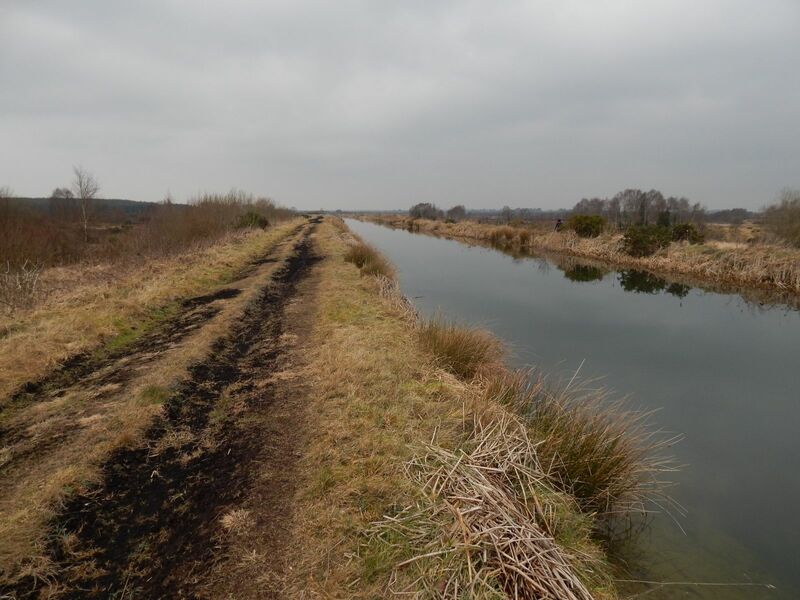 This is a very remote part of the canal and there can quite often be no sign of human activity at all. 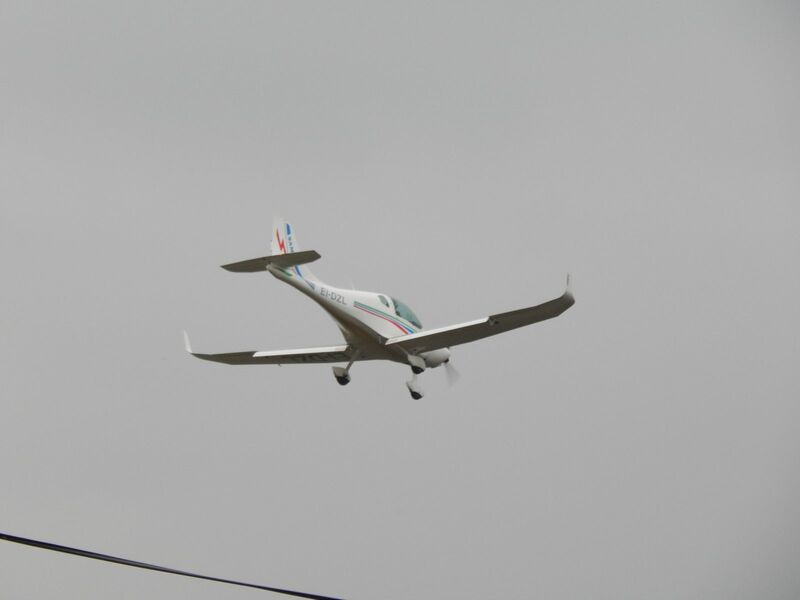 Today, I had only the aircraft from the airfield to keep me company. Towards the end of this stretch I came across somebody trying to make it down the opposite bank which would be a bit of a hike. 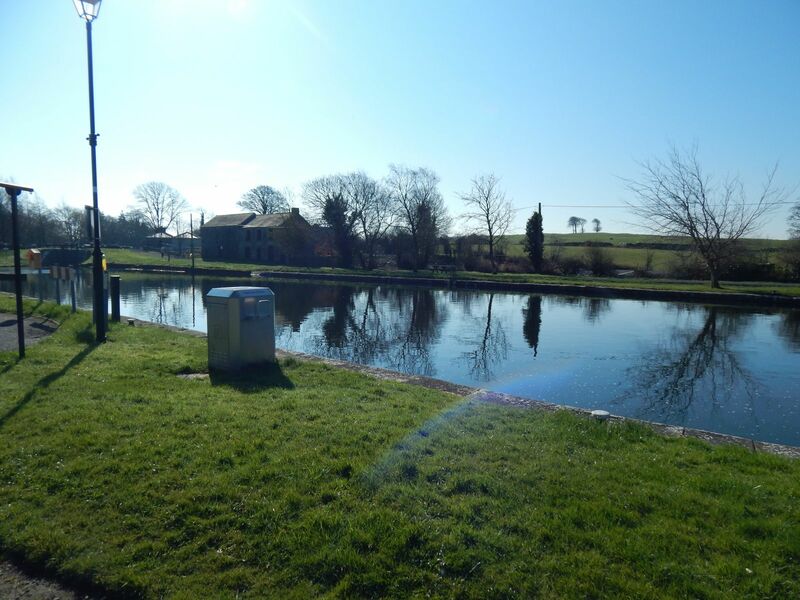 I stopped at the first lock near Emper for a quick coffee and a snack and then continued on. 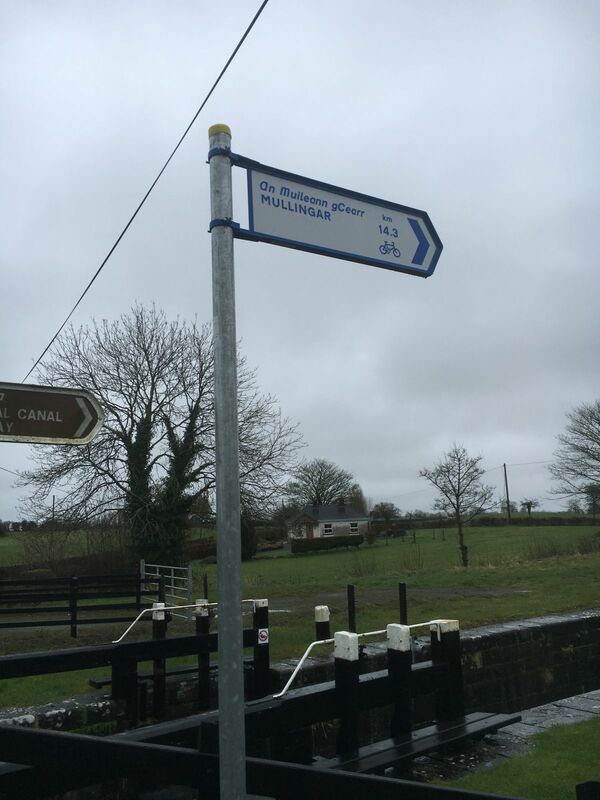 I kept going through Ballynacarrigy with only a brief chat with a couple of walkers to see if the way was clear to the next lock as there were works under-way still. They said it was passable although a bit muddy. I found out about a kilometre later that I would need to go through a building site to continue on but as there was nobody about I decided that it was reasonably OK to continue. 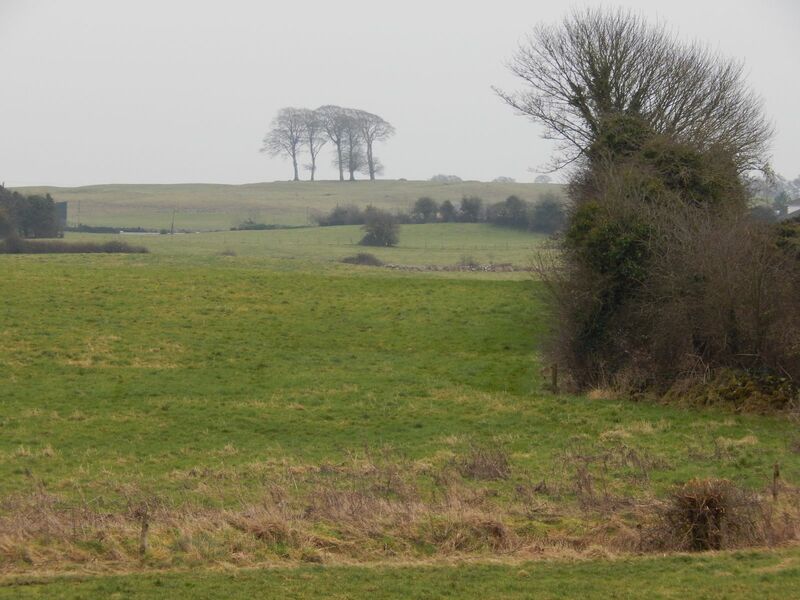 This odd stand of trees becomes visible a couple kilometres to the east of Ballynacarrigy and is part of what looks from the survey map to be a quite a rich vein of ancient heritage in the area. As you continue on, there seems to be some sort of fort or something built on the hill . At this stage, it was looking pretty sure that I would make Coolnahay and perhaps push on even further so I kept on moving. I quickly ran into another building site and a further set of signs that everyone seemed to be ignoring. 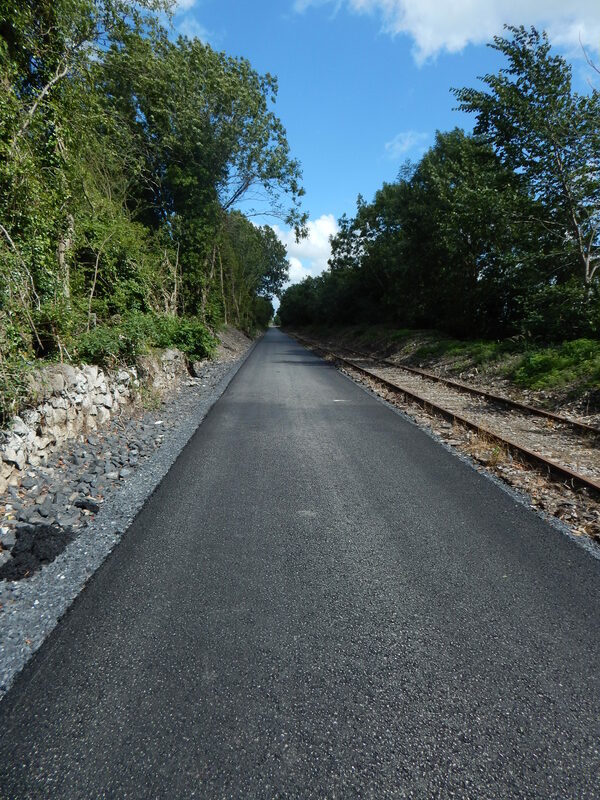 They seem to be extending the greenway from Coolnahay a few kilometres westwards and there was a partially complete gravel surface that was quite nice to walk on. This continued on and off as far as Coolnahay. There is amazing variation in the state of the lock-houses around here. Some of them have been refurbished and extended into beautiful little cottages while others have decayed to the point where they are barely visible. This one isn’t even the worst. 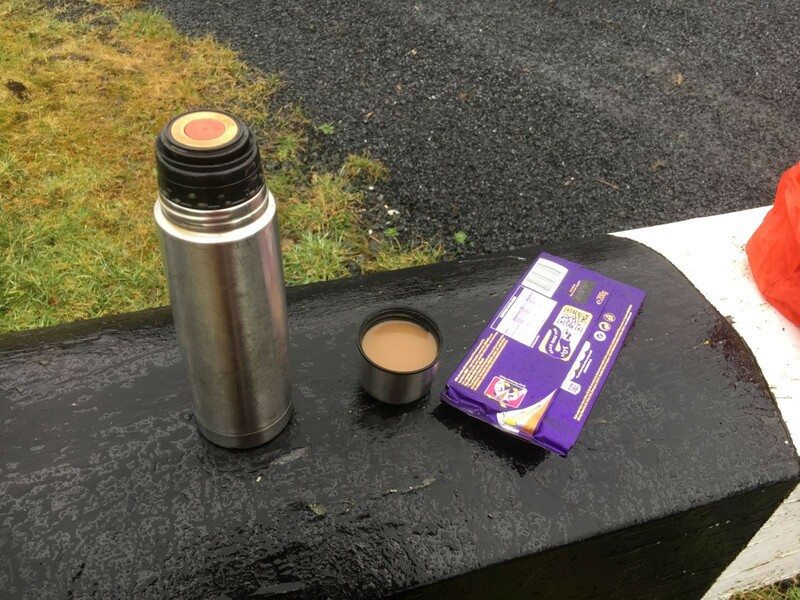 I reached Coolnahay around 5PM and figured I’d have about an hour left so stopped for a quick coffee and a bite of chocolate before continuing. Coolnahay is a lovely little harbour. At this point, I was starting to lose the light and so didn’t really bother too much with the camera. It was a case of just putting the head down and pushing on to complete the walk as I had only really planned on doing 20 km and was now well past the 25 km mark. 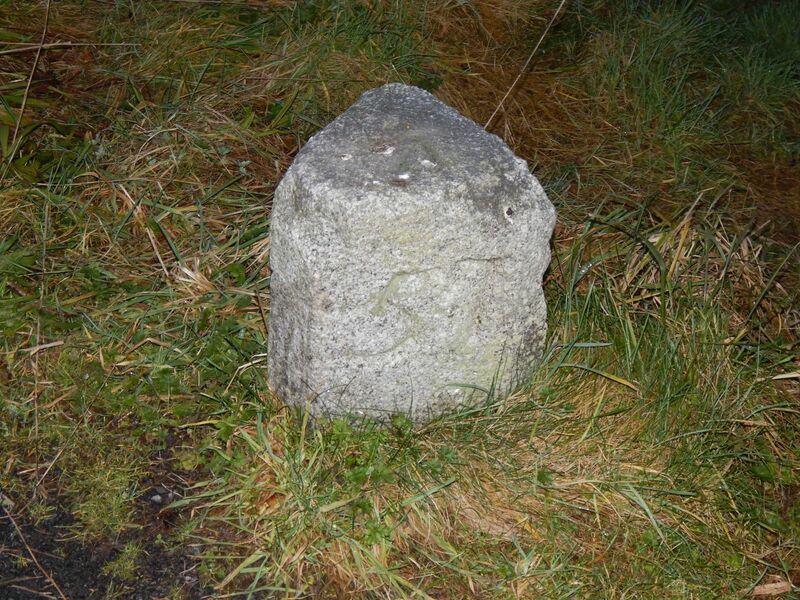 This milestone was about 2 km short of Ballinea harbour and I had to use the flash to take a picture. I arrived into Ballinea shortly after 6 and it was almost completely dark so I did’t manage a reasonable picture at all. It was a nice day’s walk and totted up to 28.5 km in a shade over 6 hours including a couple of 10 minute breaks so not too bad a day’s work.